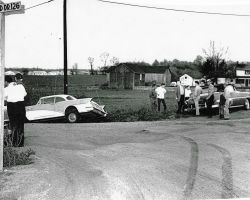 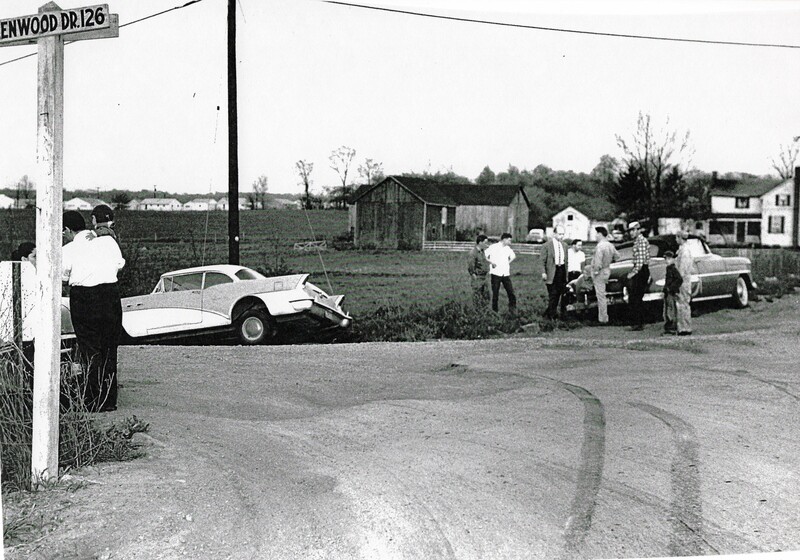 A vehicular mishap on Glenwood Drive. 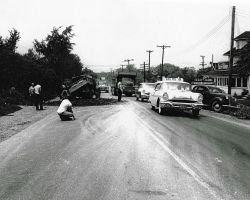 Traffic backs up during road work. 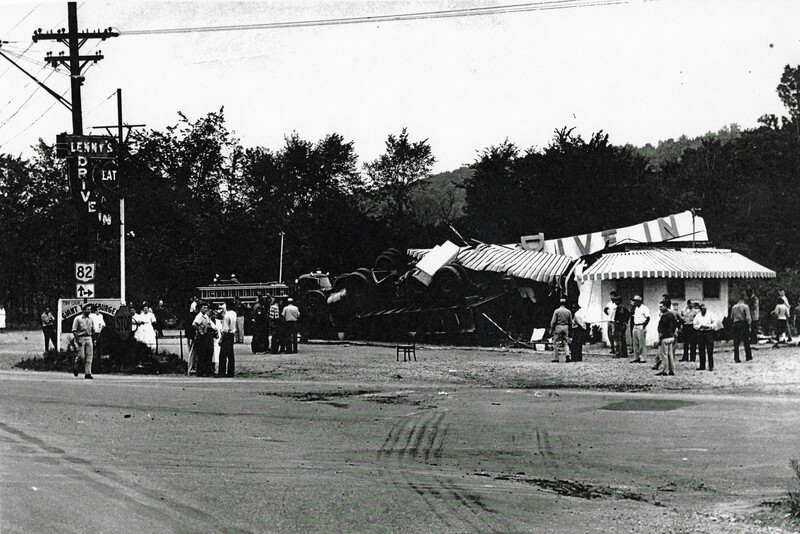 Railroad crossing at Glenwood Ave.
Lenny's Drive In, right after a truck rolled into it. 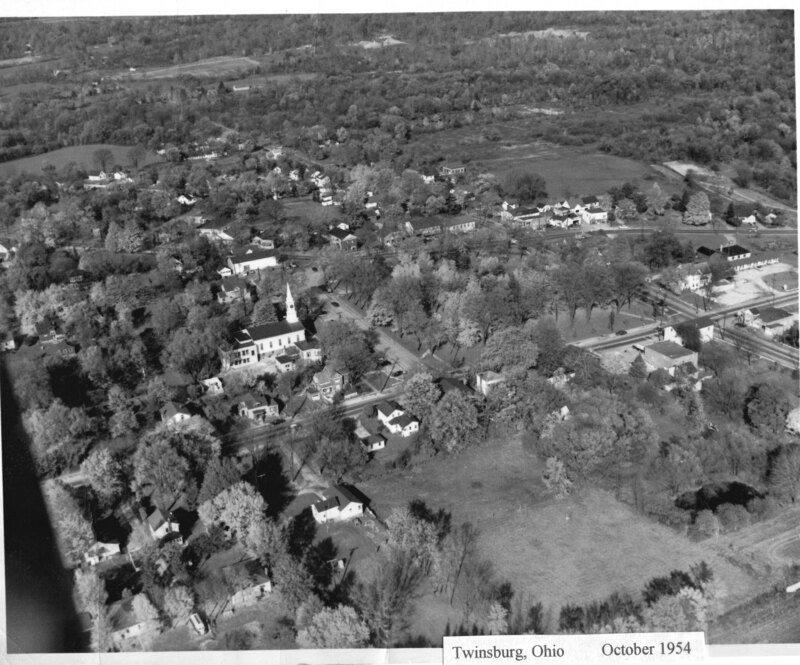 An aerial photo of Twinsburg. 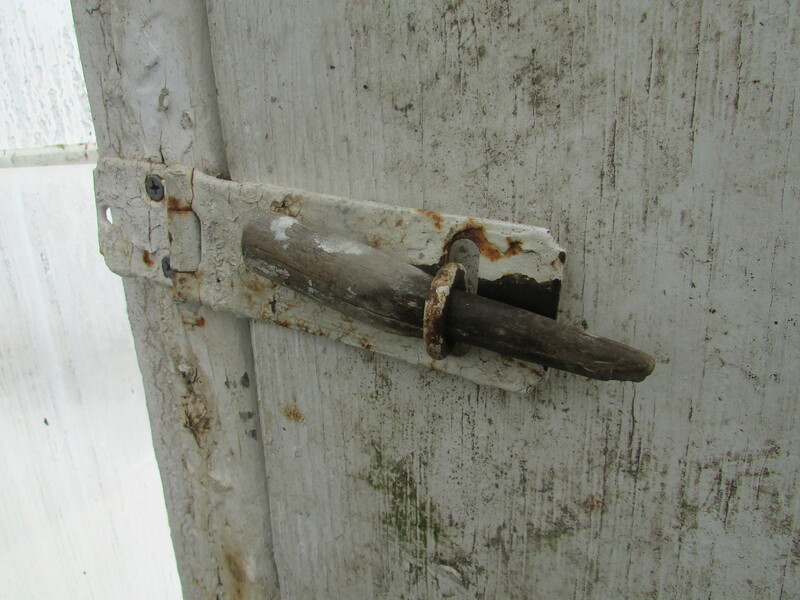 A piece of wood whittled by Carl Herrick, still used at the greenhouse the Kollman's bought from Herrick in the early 1970s for good luck. 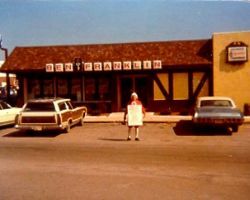 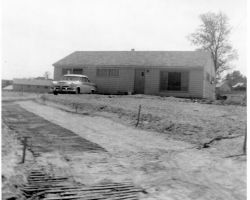 Near Herrick and Aurora Roads c. 1960. 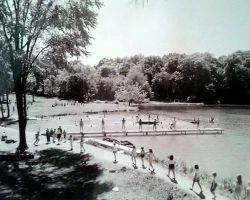 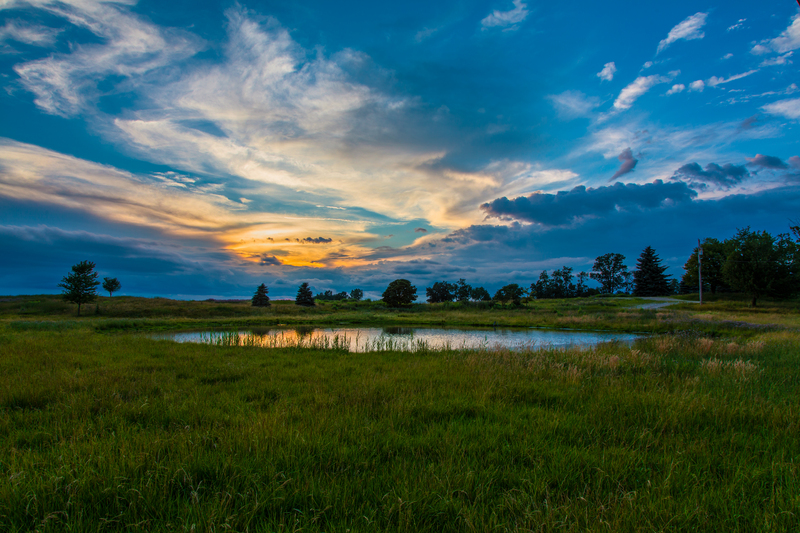 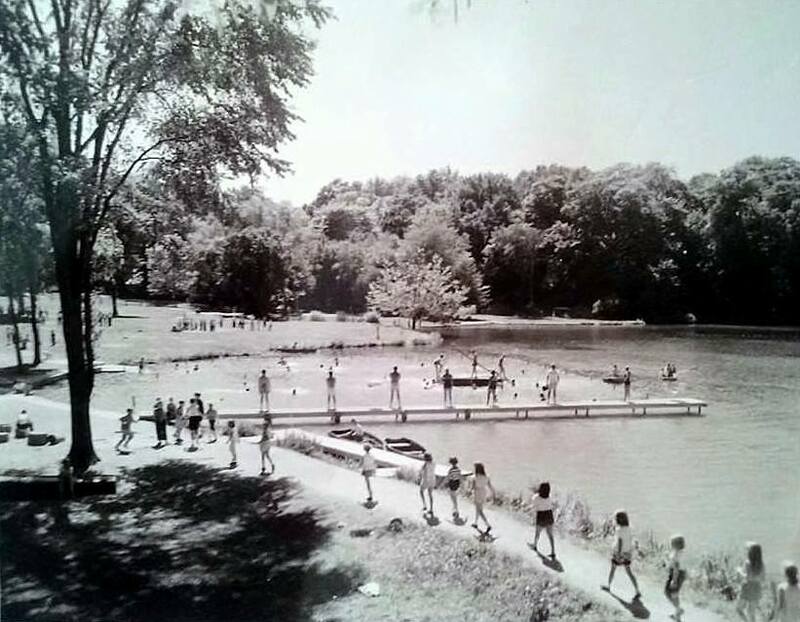 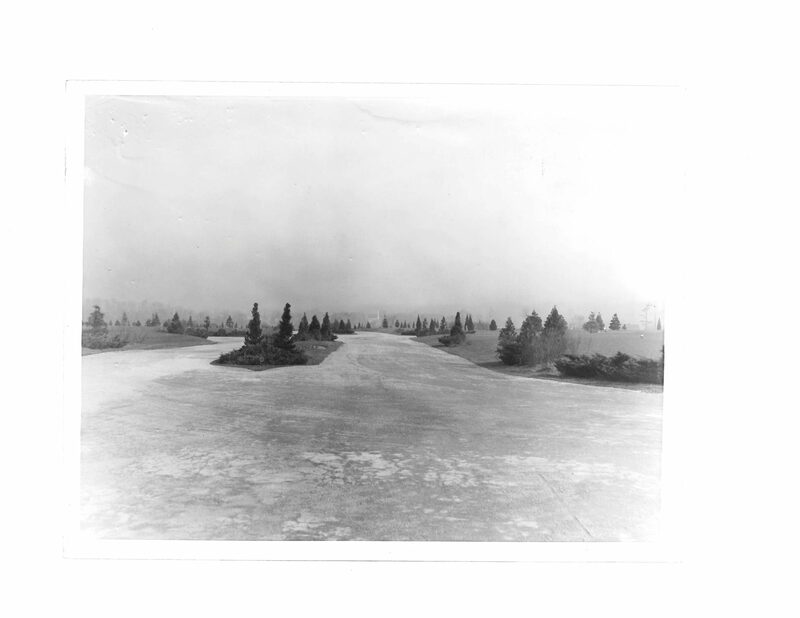 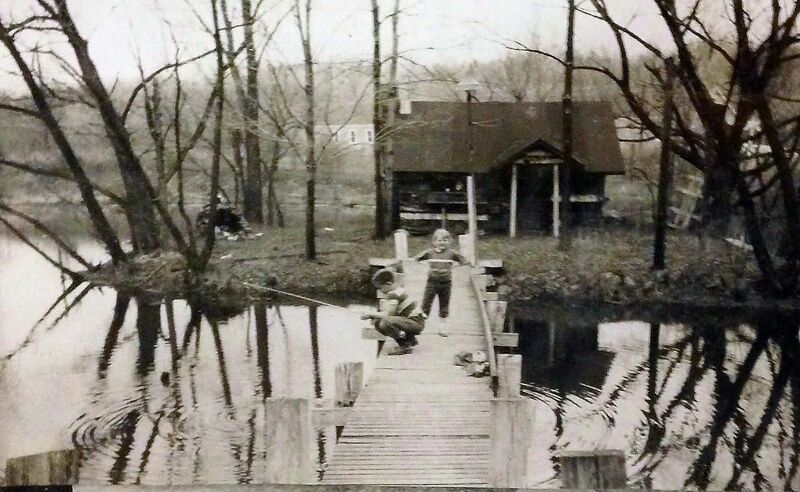 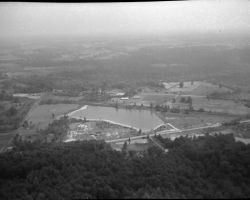 Photo of a man made lake created in the late 1950s by Leroy F. Reeves, who served as mayor in the early 1970s. 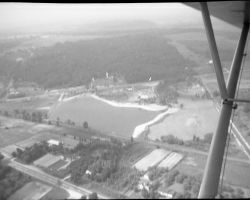 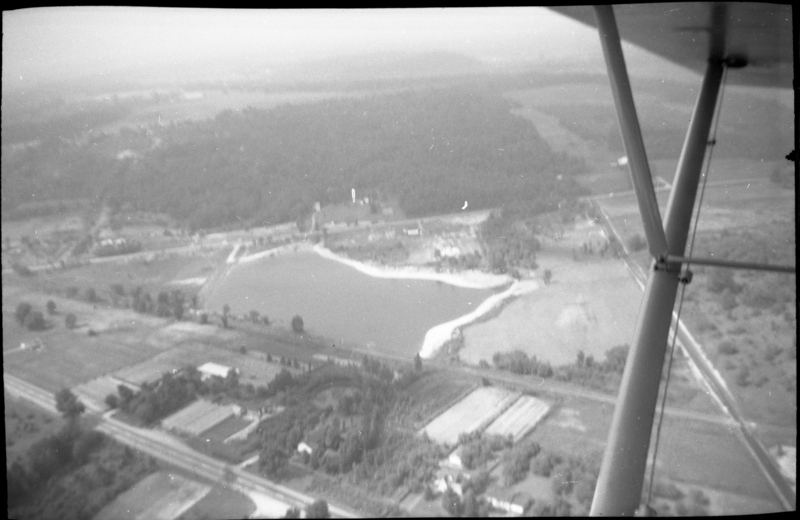 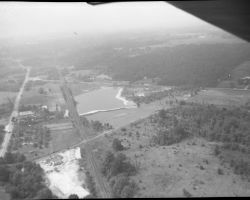 Aerial photo of Reeves Lake from the late 1950s. 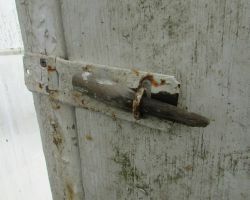 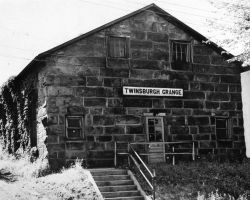 It was excavated and created by Leroy F. Reeves who also served as Twinsburg's Mayor in the early 1970s. 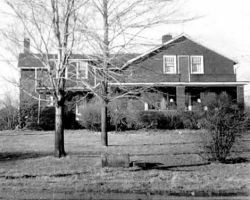 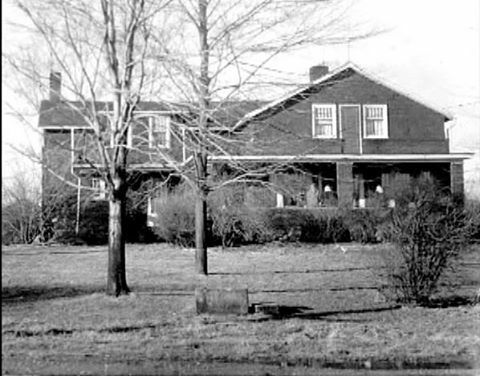 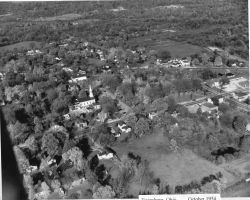 Glenwood Acres in the 1958, shortly after residents started living there in 1956. 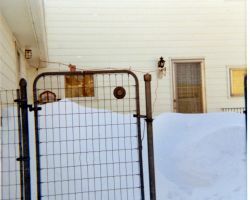 Driveways weren't a necessity yet. 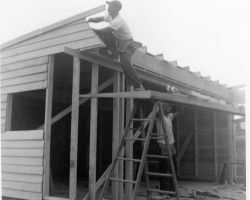 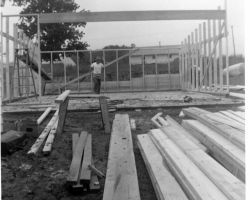 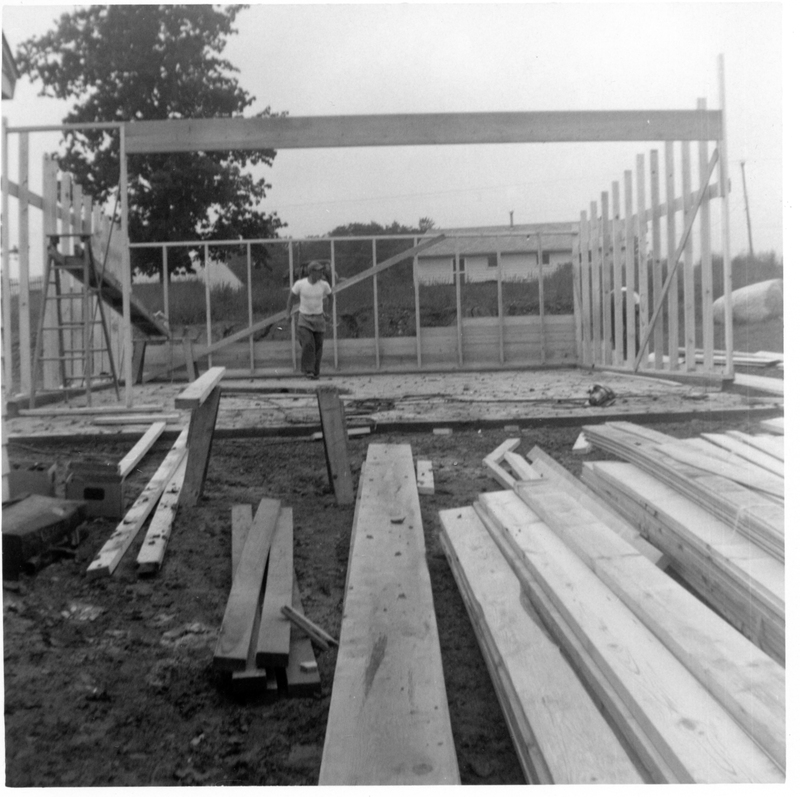 A Glenwood Acres home being built in the 1950s. 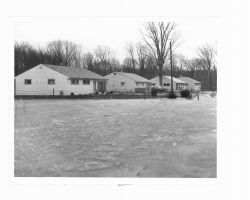 Many people moved into their Glenwood Acres homes before everything was finished. 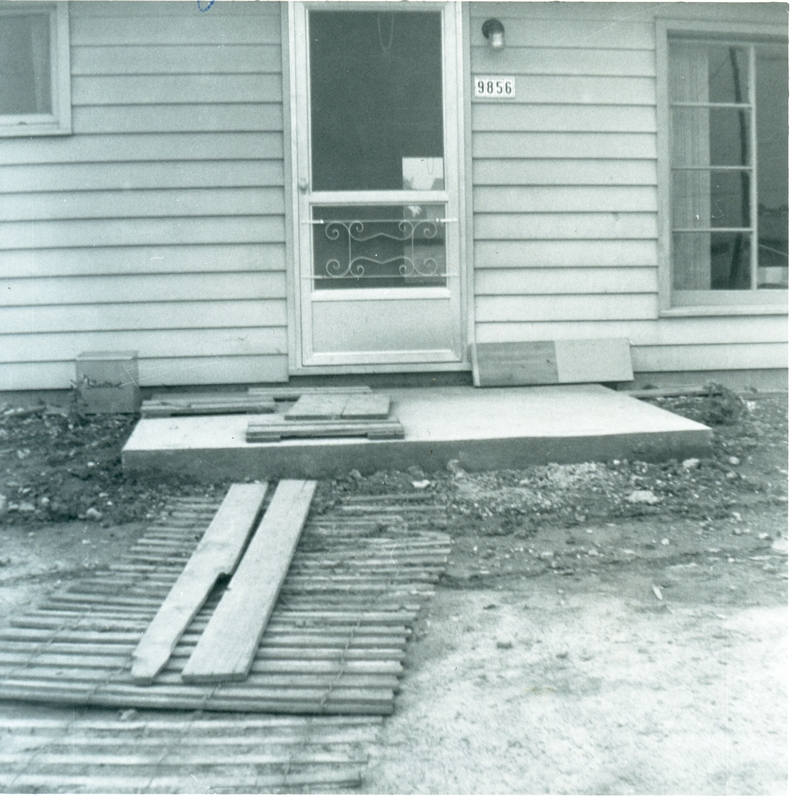 Not everyone had sidewalks even into the 1980s. 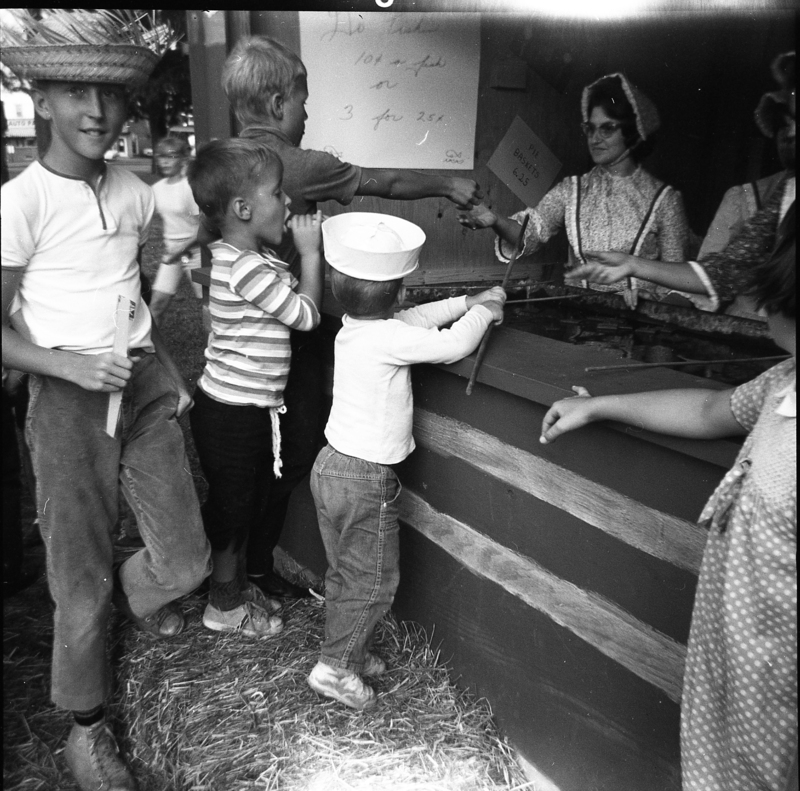 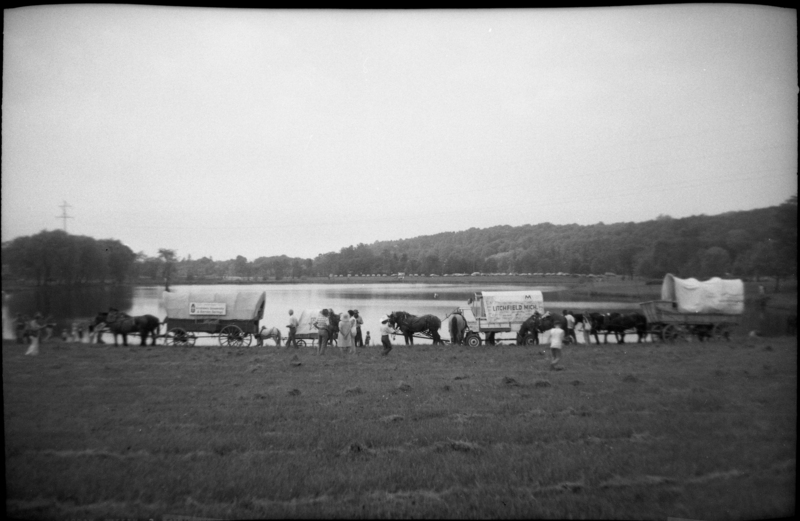 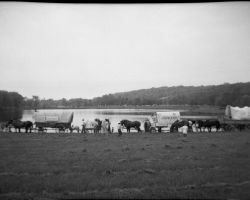 In 1976 Bicentennial Wagon Trains crossed the country in celebration of our 200th Birthday. 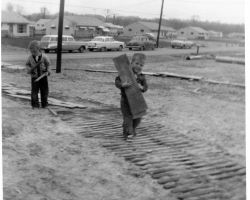 They made 249 encampments. 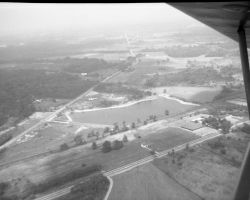 This one at Reeves Lake in Twinsburg was one of them. 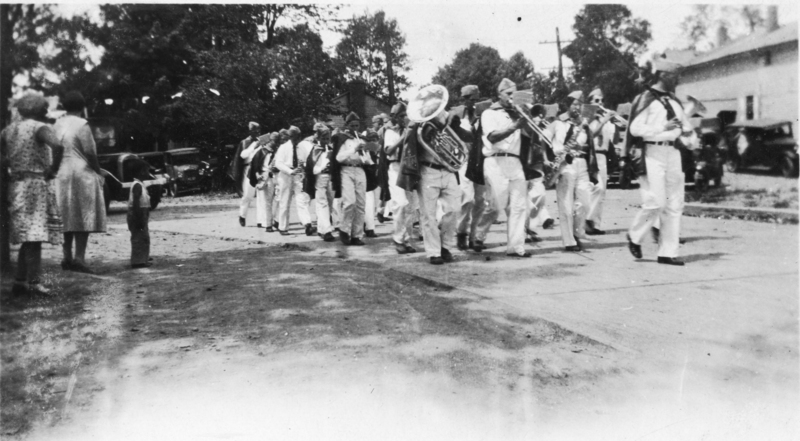 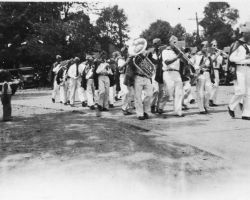 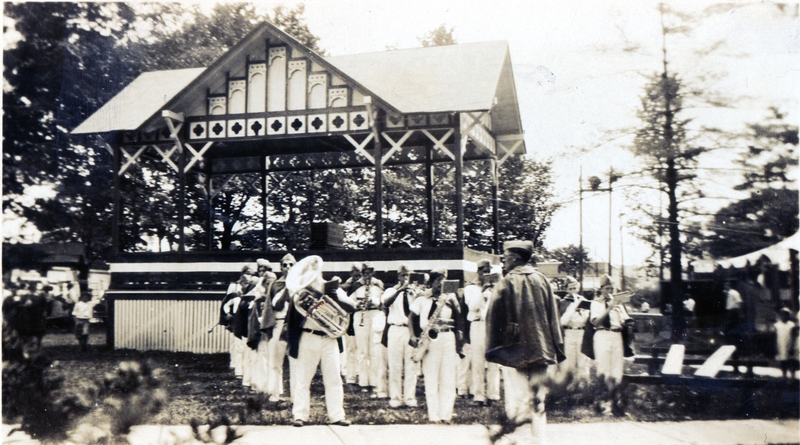 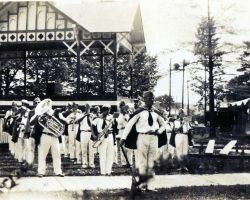 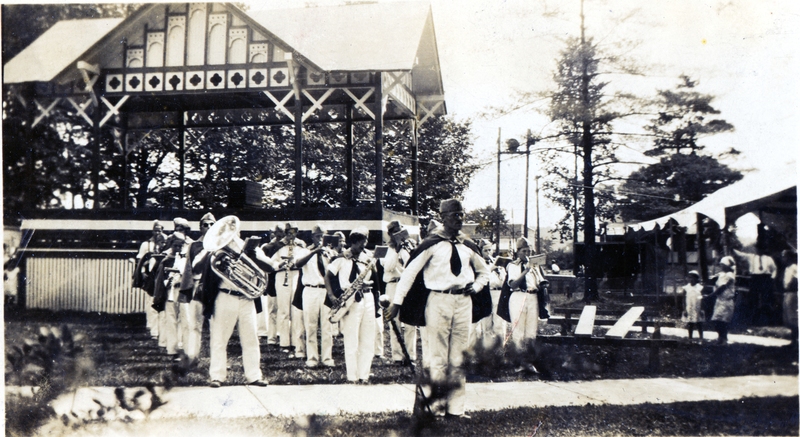 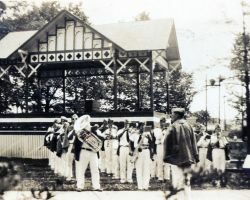 C. 1930, the Twinsburg Band marches after a performance at the Town Square Bandstand. 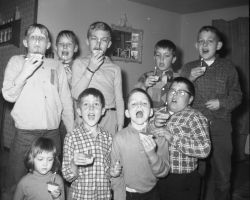 Entertainment existed for kids as well as adults. 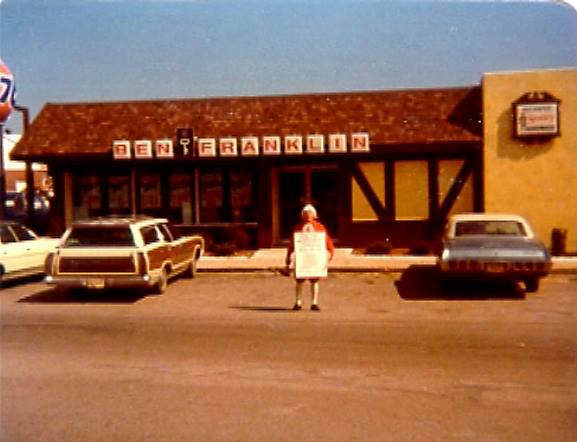 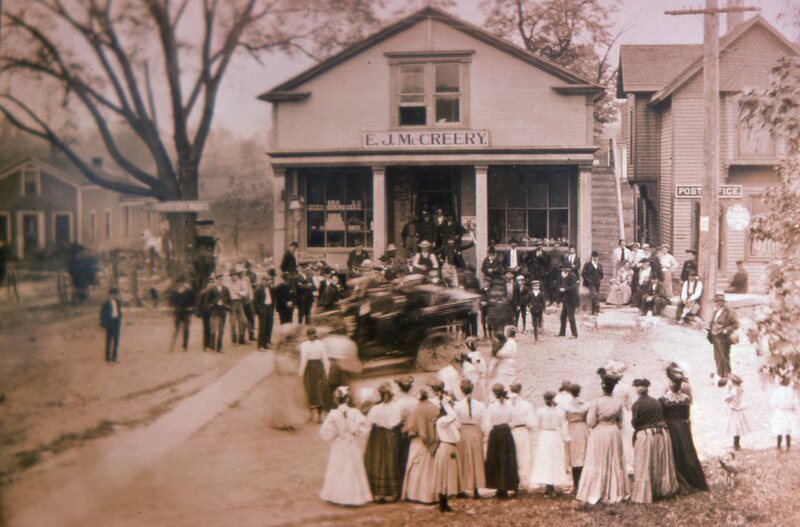 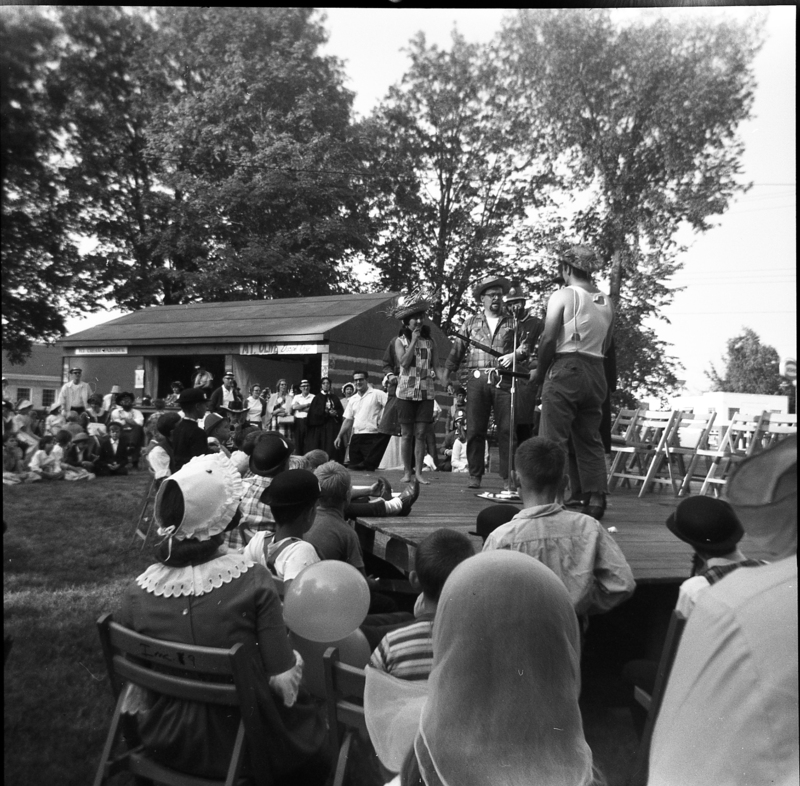 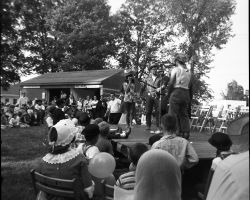 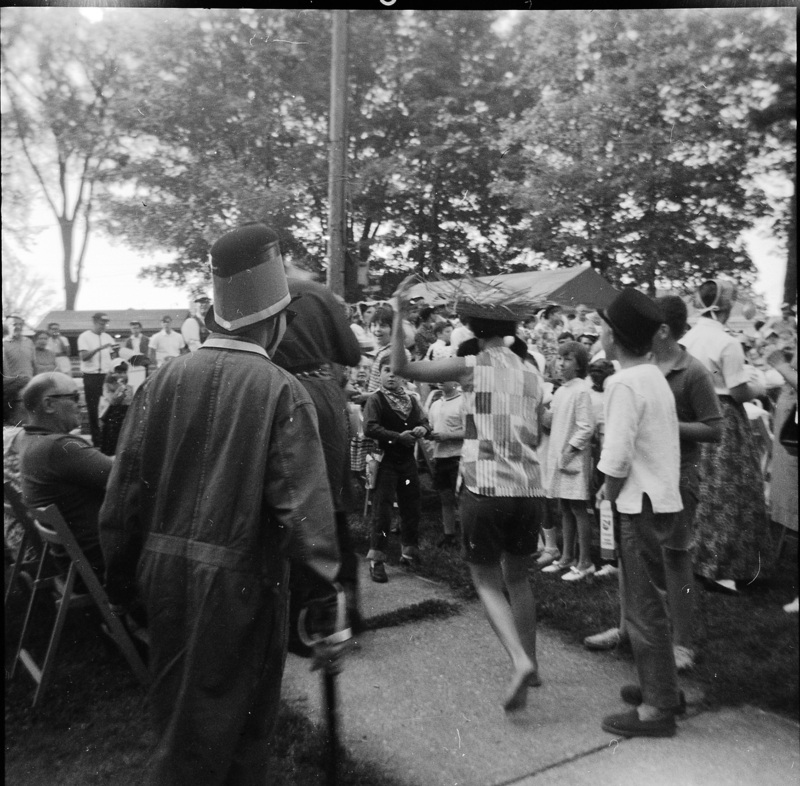 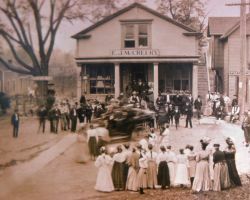 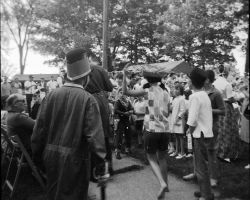 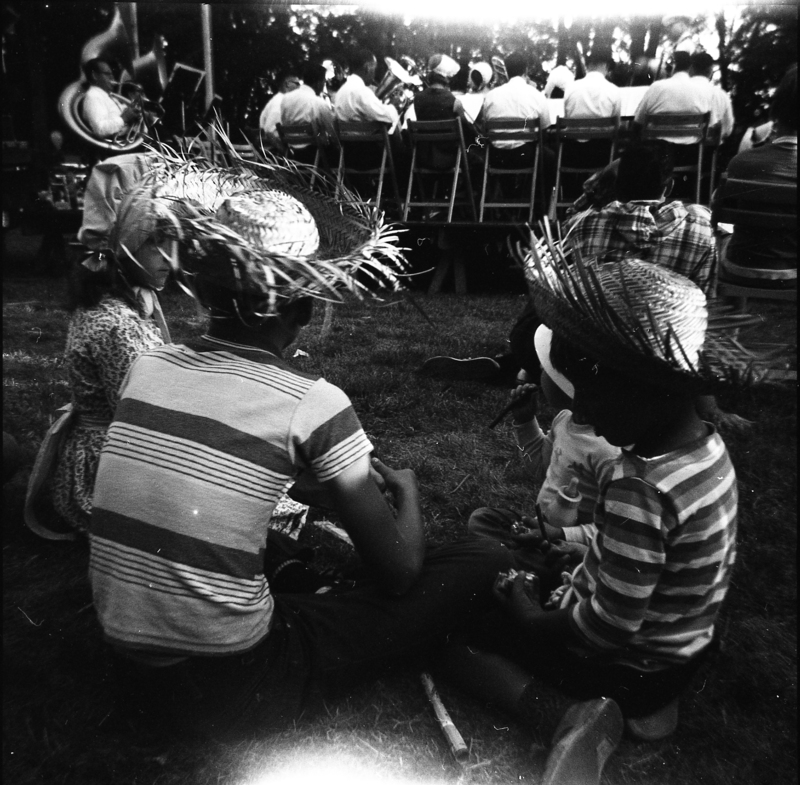 Entertaining the crowds during the 150th anniversary of Twinsburg in 1967. 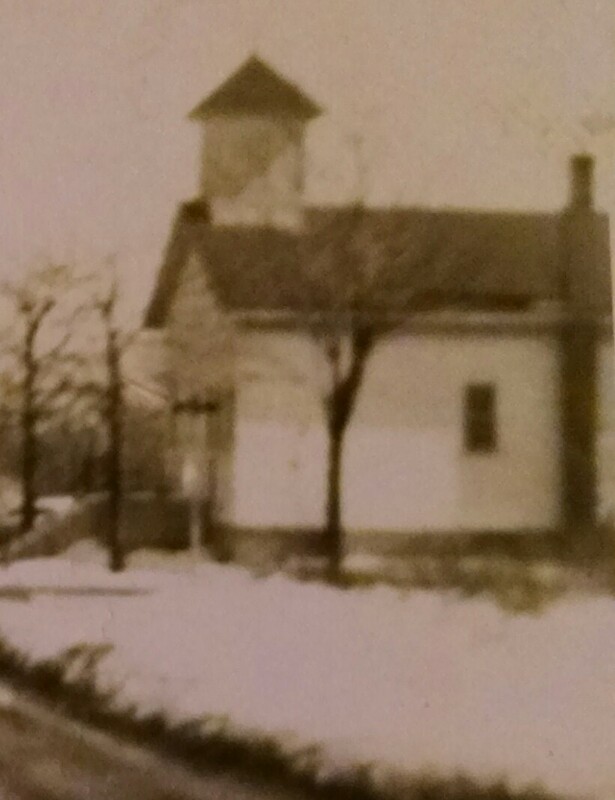 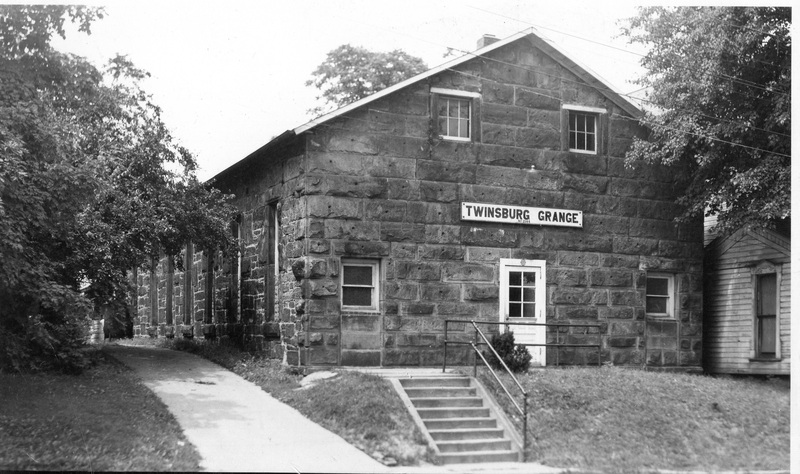 After it was Twinsburg Institute, and before it became the Twinsburg Historical Society, the Twinsburg Grange met in this historical building. 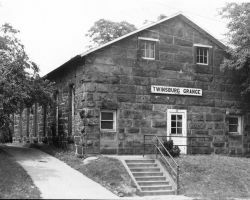 The Grange, which is an agricultural based fraternal order, was deeded this building in 1917. 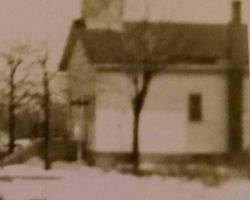 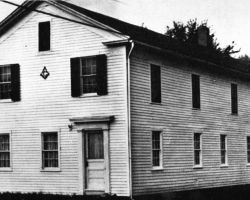 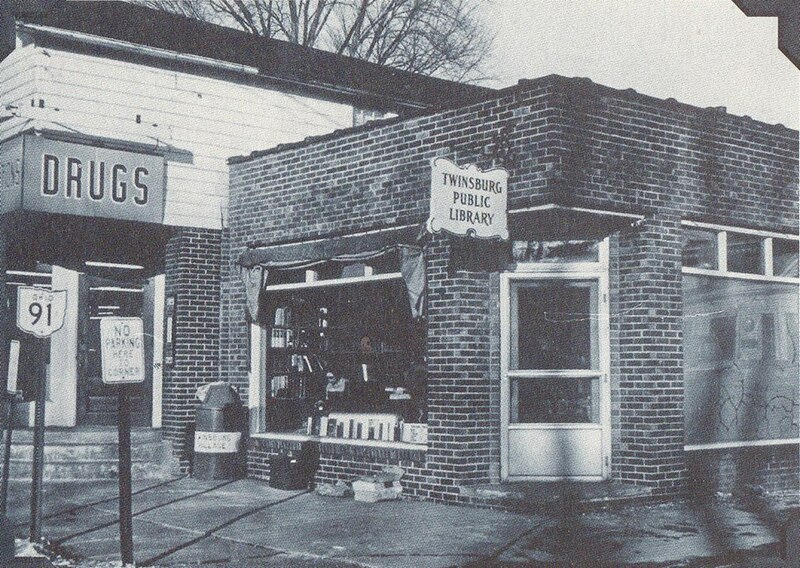 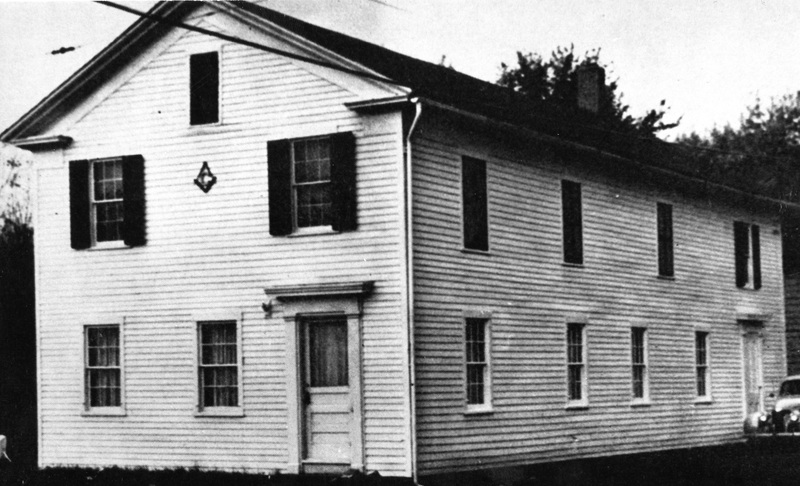 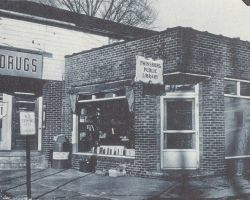 It was then deeded to the Historical Society in 1965. 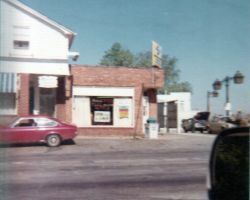 Located on the SW corner of Rte. 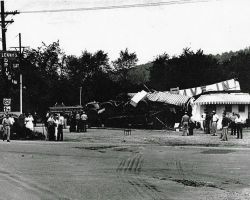 82 and 91, the building was so close to the road it was felt for years a vehicle crashing into it was simply a matter of time. 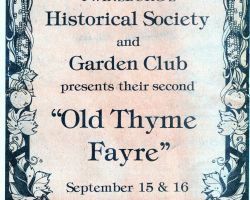 Which they did. 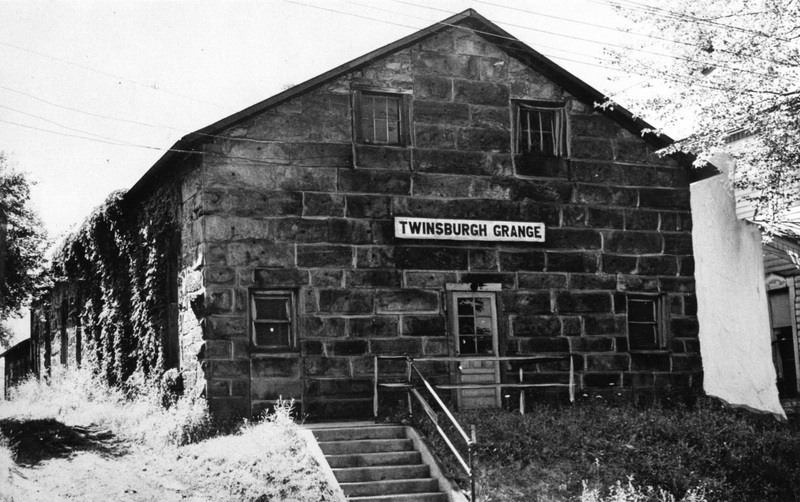 The Chamberlin family served the medical needs of Twinsburg for decades. 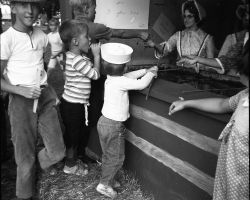 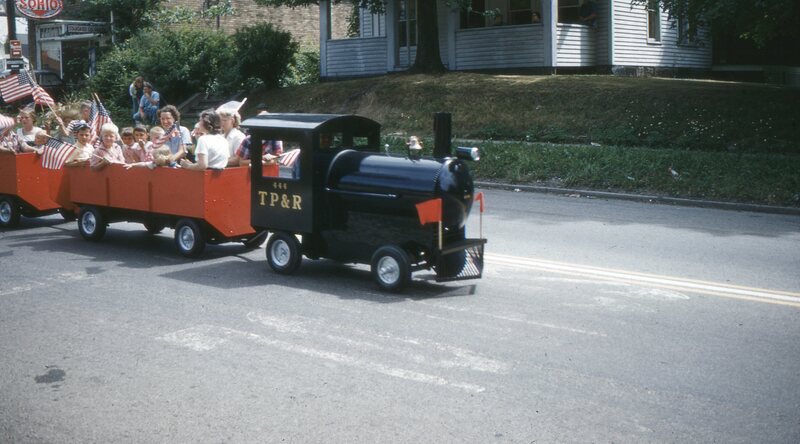 Pulled out for the children to ride in for years during Twinsburg's special events, to many people's chagrin the train's whereabouts are unknown. 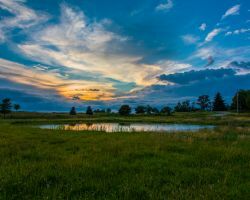 After a storm they sky can do amazing things. 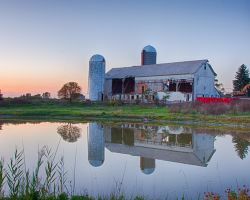 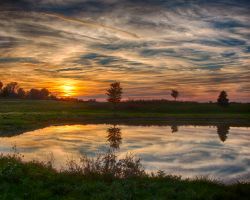 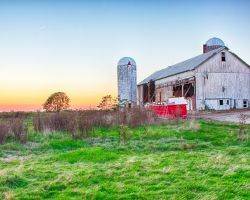 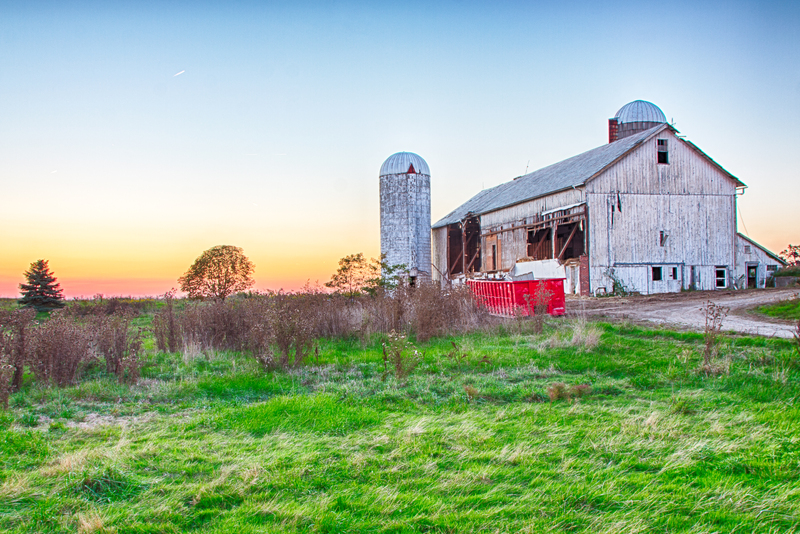 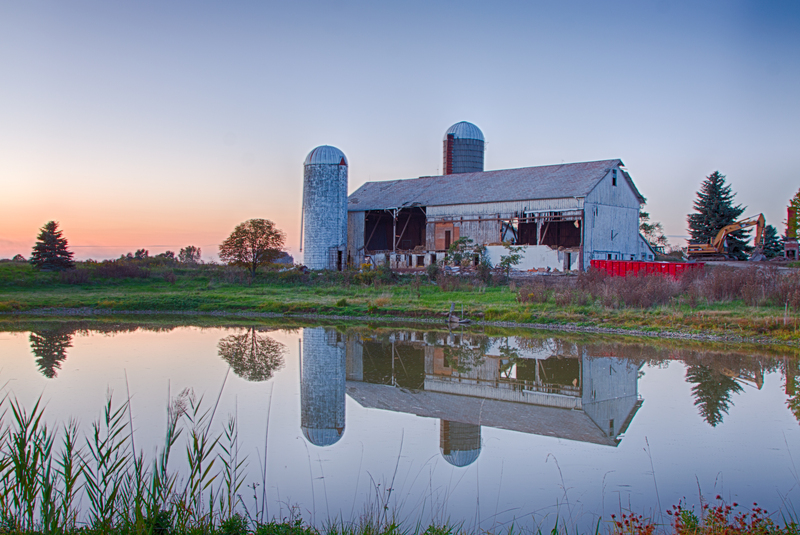 The kind of sunset you only get in the country. 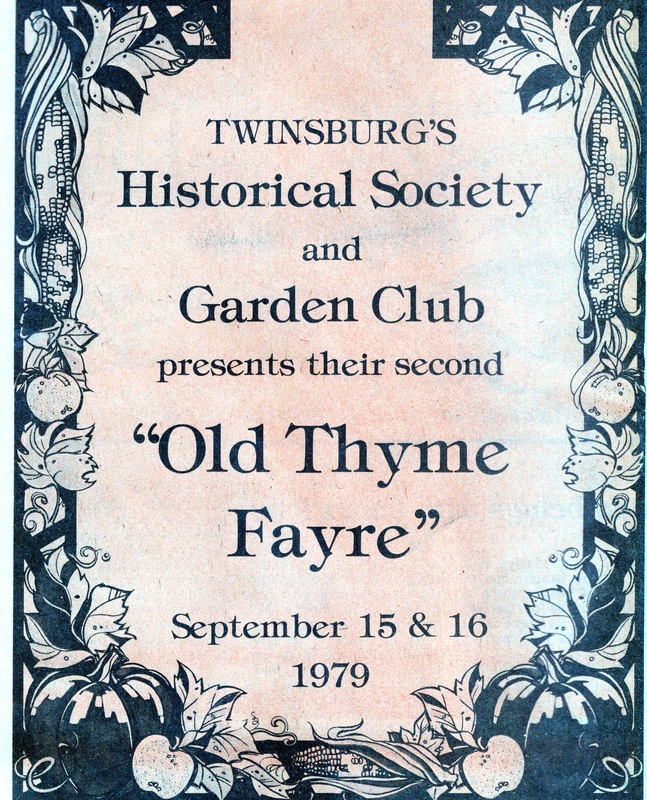 The program cover for the second Old Time Fayre, held September 15 & 16, 1979. 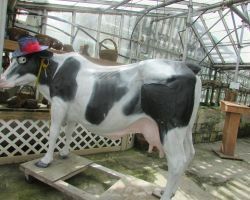 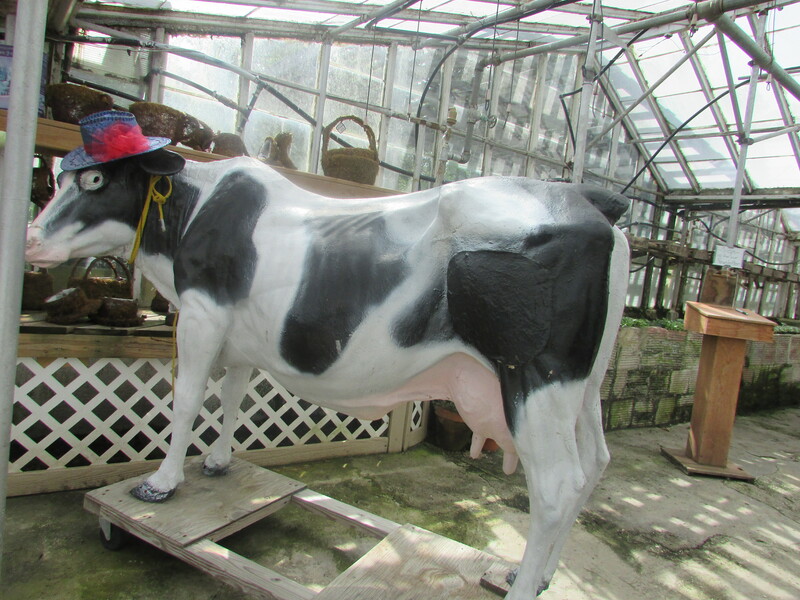 The cow has been a fixture, and comon site, while passing Kollman's Greenhouse while heading towards the Square. 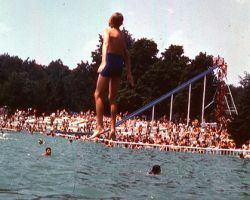 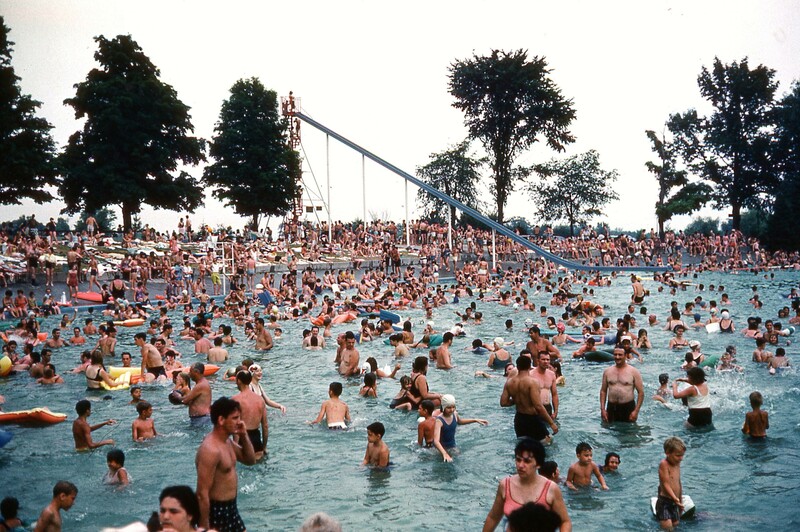 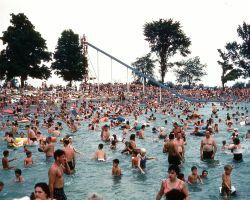 Compared to today's water parks Lake Plata was a study in simplicity, offering very few water slides of diving boards. 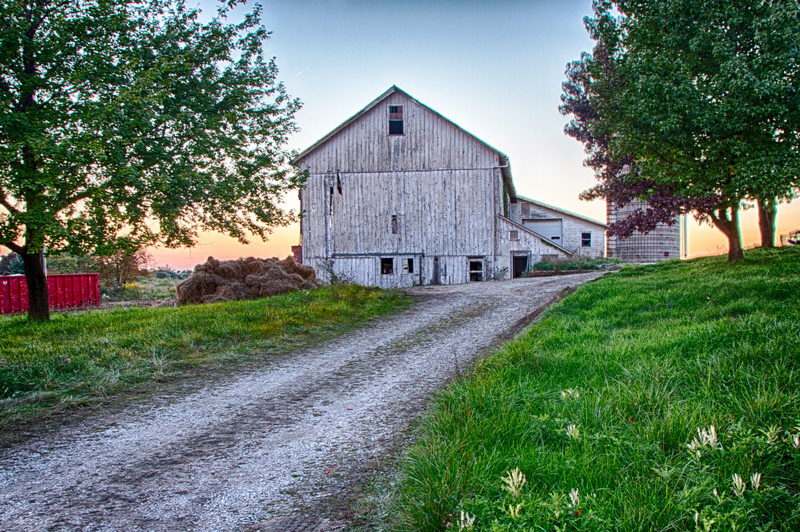 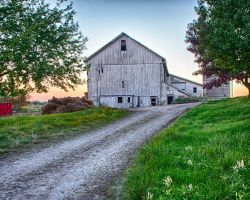 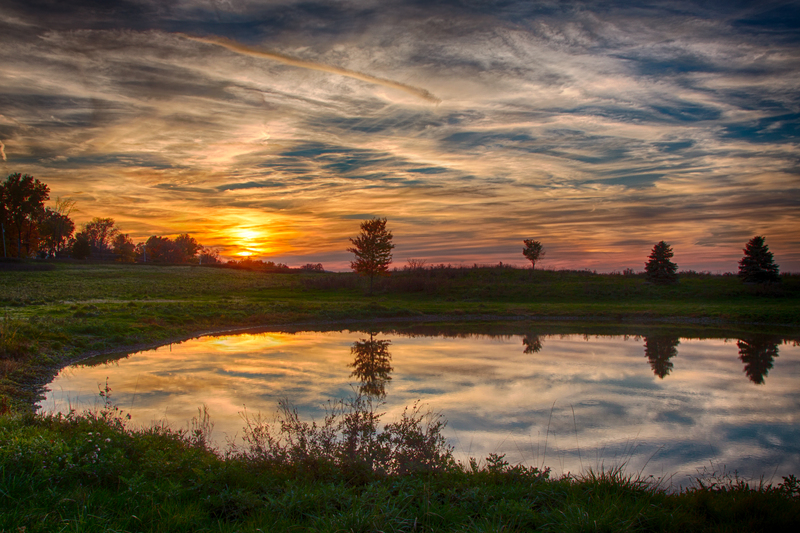 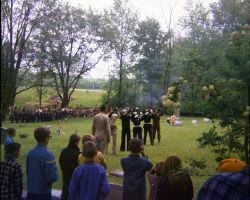 Photograph courtesy of Dale Diersing. 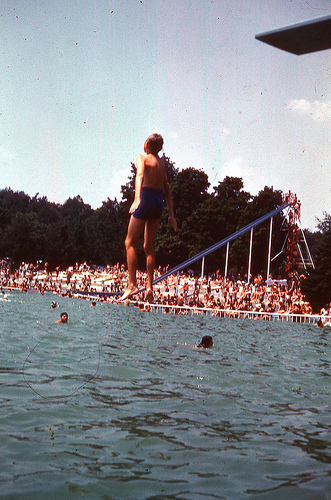 For years Lake Plata was a summer destination for the region. 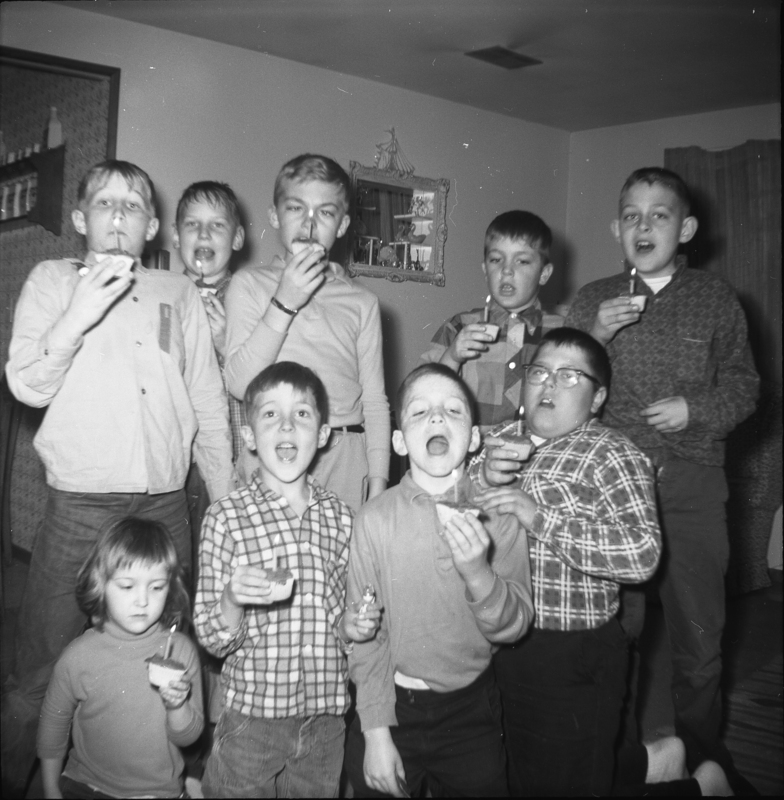 It looks like it was quite a celebration. 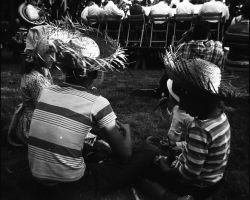 These kids might not have know the significance of the celebration, but I bet they had fun. 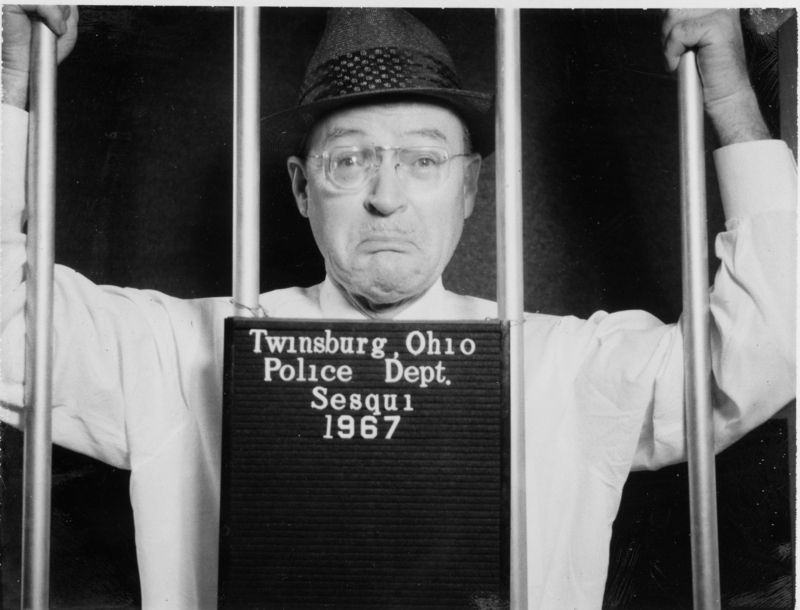 It seems fake arrests were a big part of the Sesquicentennial. Even future mayors, such as Leroy F. Reeves, weren't safe from the long arm of the Sesquicentennial police. 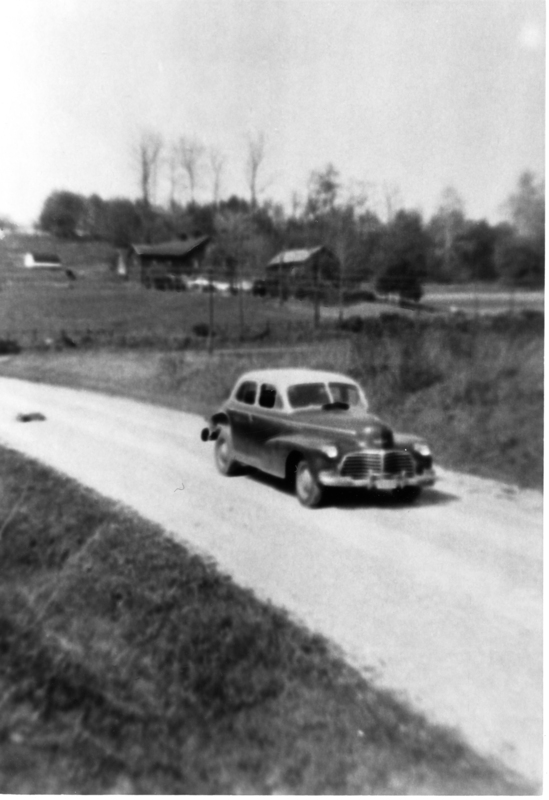 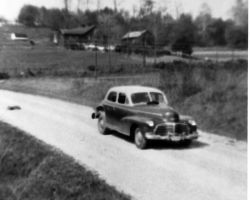 Quite a bit has changed since this 1942 Chevy drove down Herrick Rd. 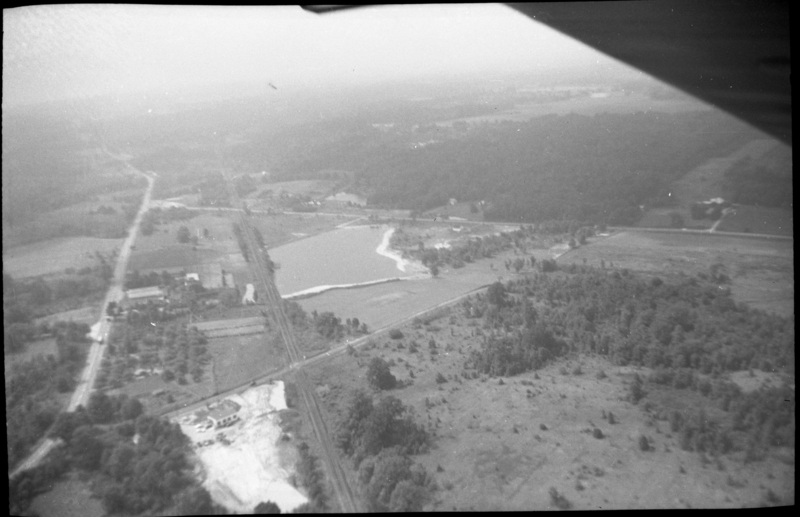 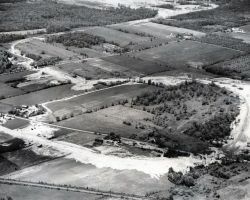 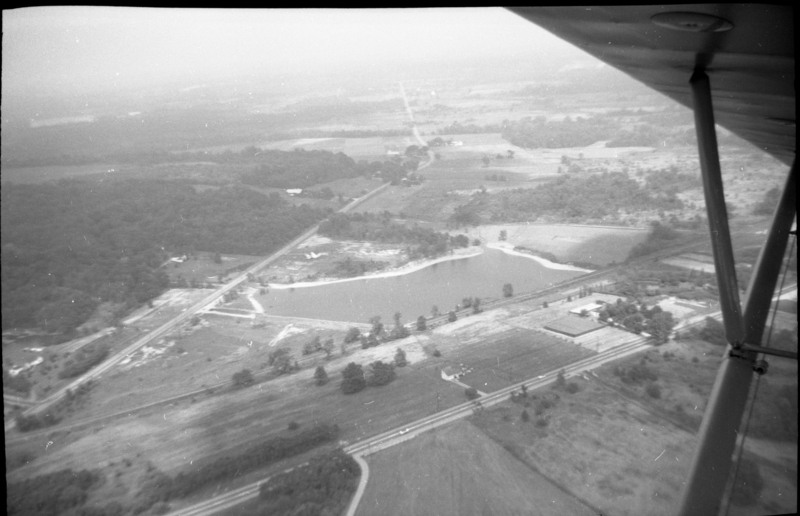 With Reeves Lake as the subject, this series of aerial photos where taken of of Twinsburg in 1957. Twinsburg residents have taken snow storms in stride over the past 100 years. 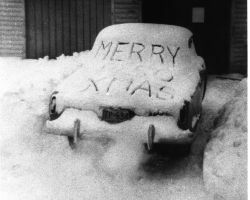 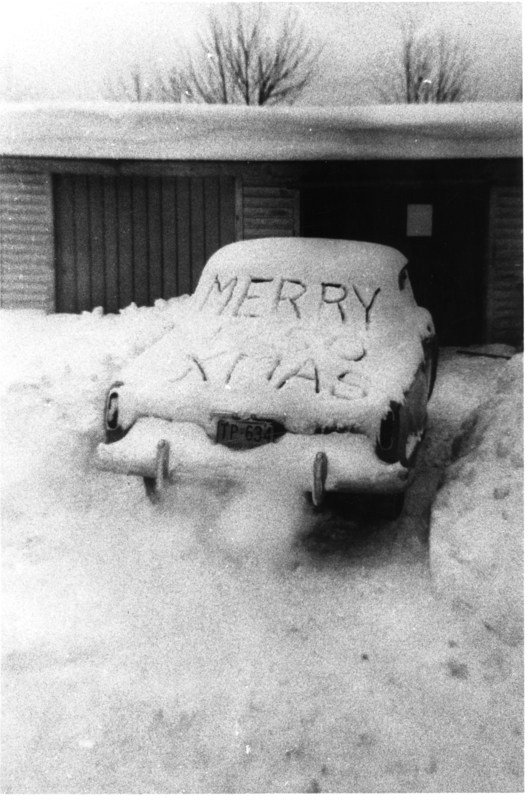 This 1950 storm was simply an opportunity to celebrate Christmas. 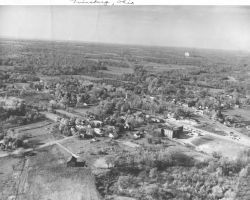 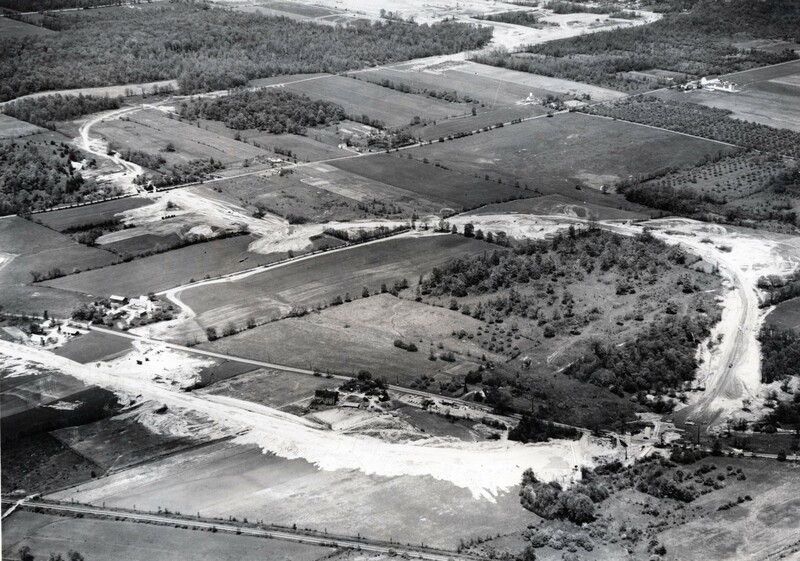 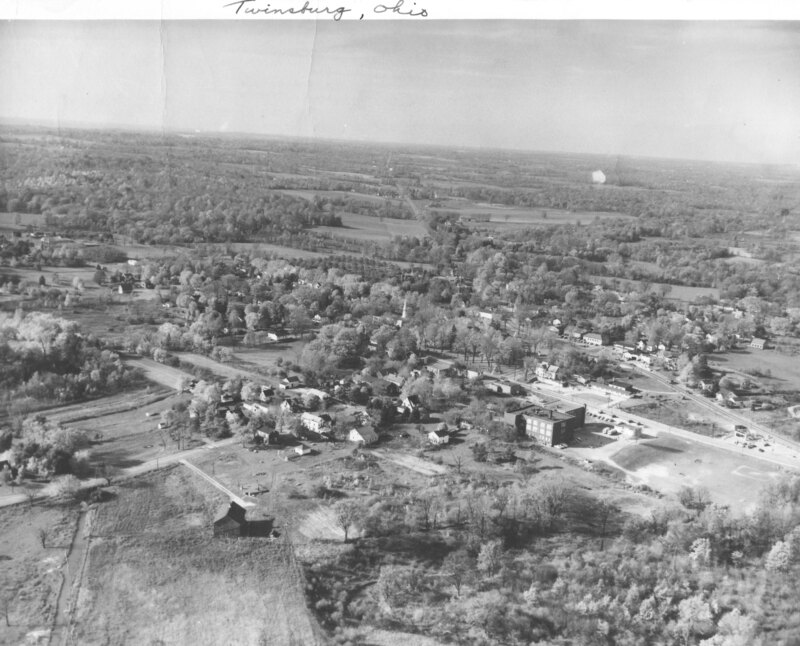 1957 Aerial Views of Twinsburg. 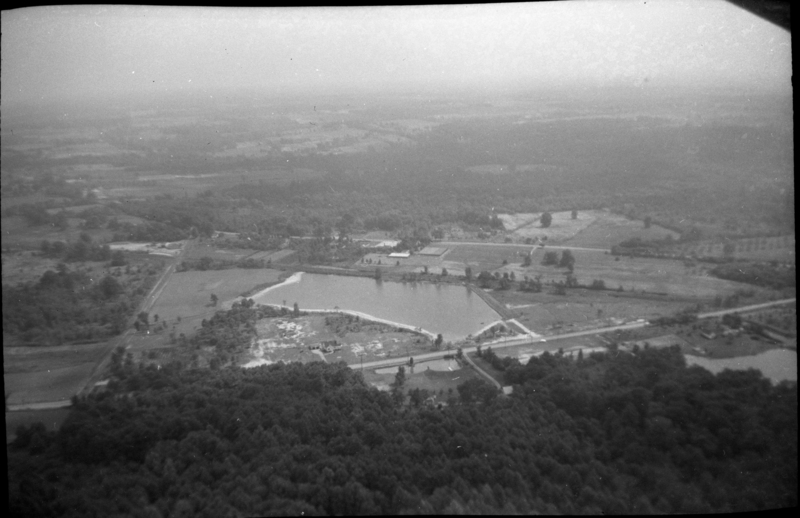 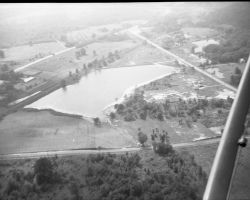 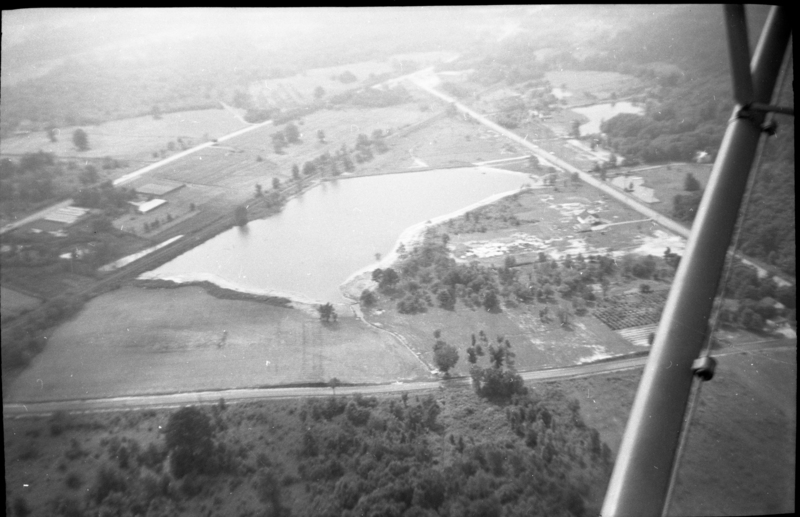 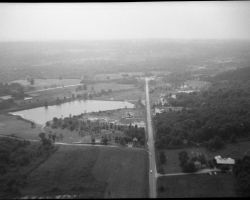 With Reeves Lake as the subject, this series of aerial photos were taken of of Twinsburg in 1957. 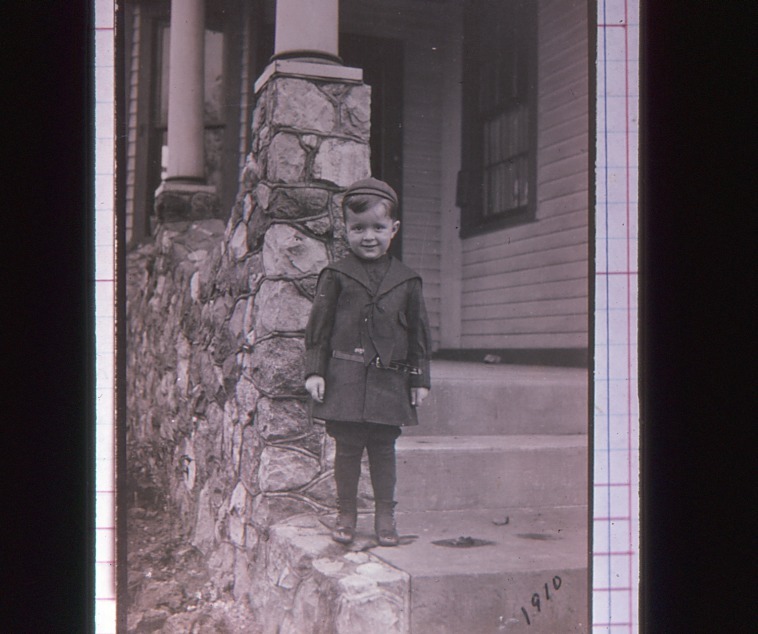 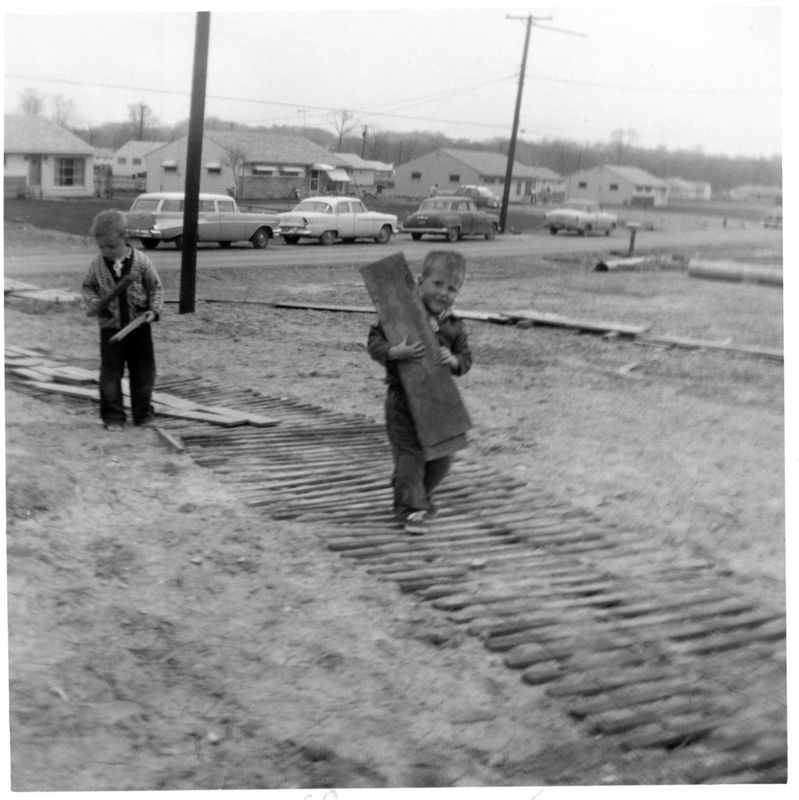 Even it's smallest residents pitched in during the establishment of Glenwood Acres. 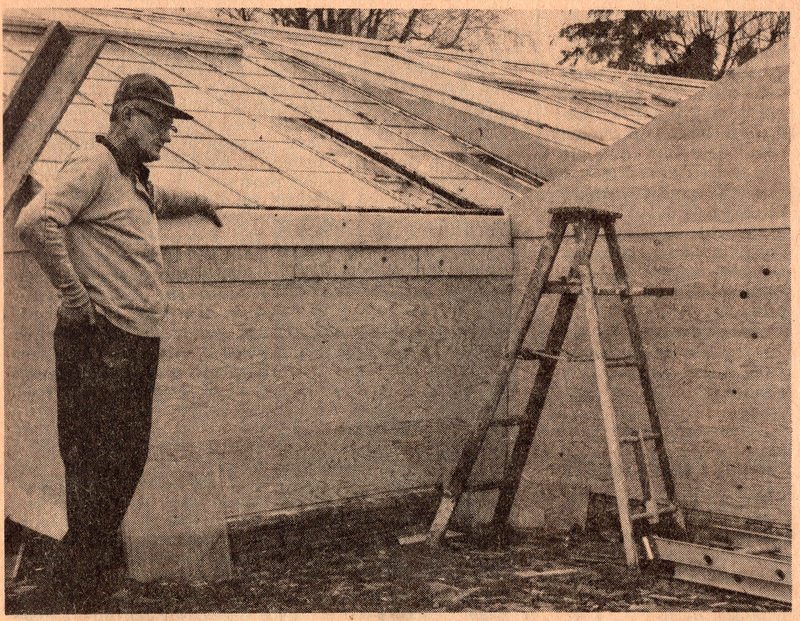 Glenwood Acres was the ultimate in D.I.Y. 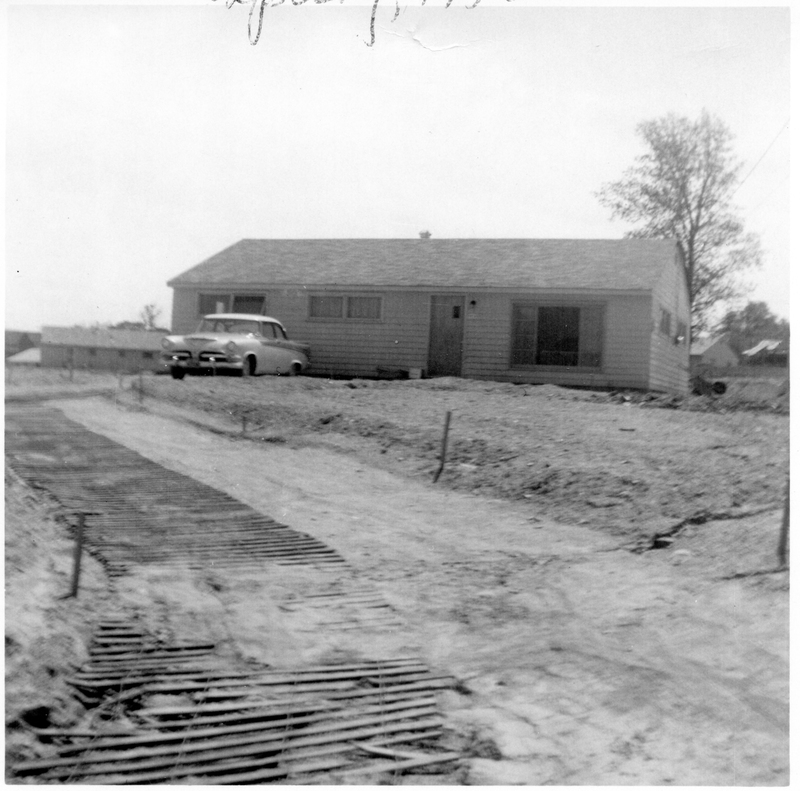 According to this family, they built their garage in 8 hours. 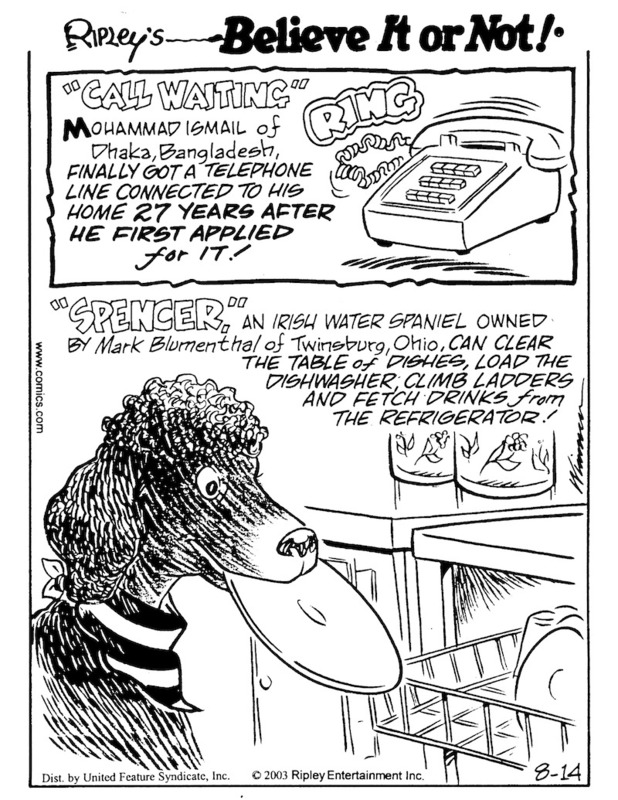 Courtesy of Leroy. 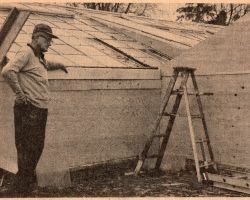 B. Reeves. 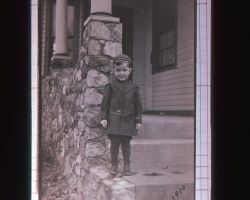 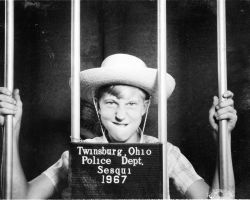 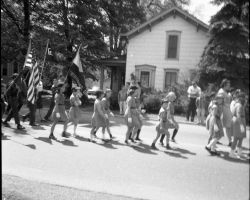 Much like most of small town America, scouts played a large part in the lives of Twinsburg youth. 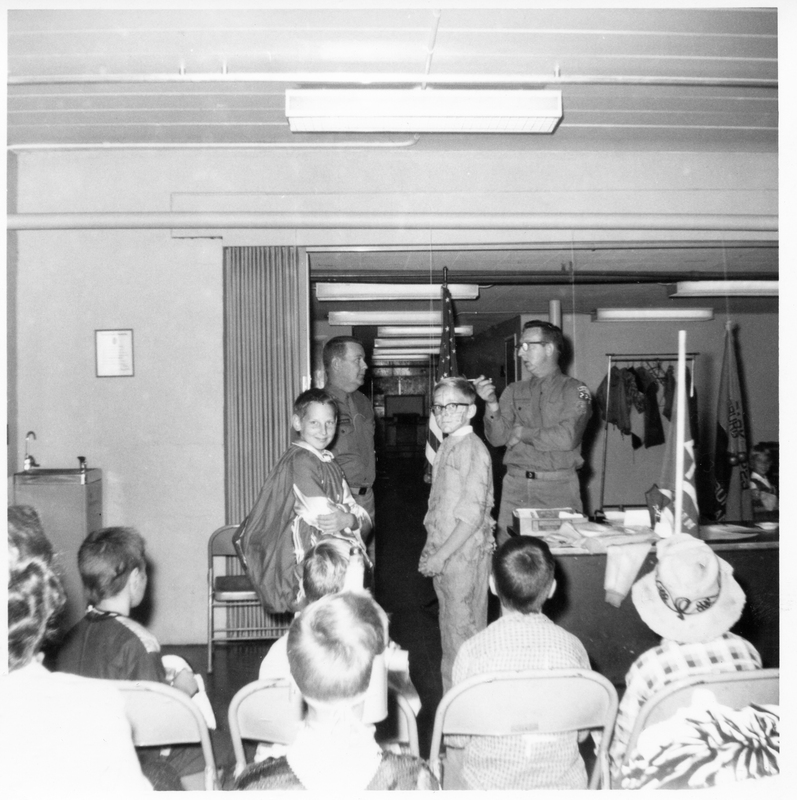 While they may be hard to recognize, these boys made up a Twinsburg Cub Scout Pack in 1963. 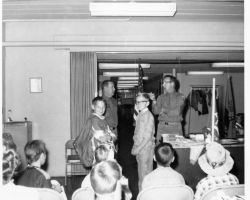 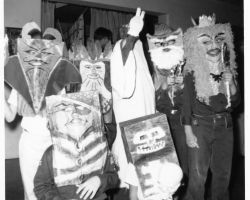 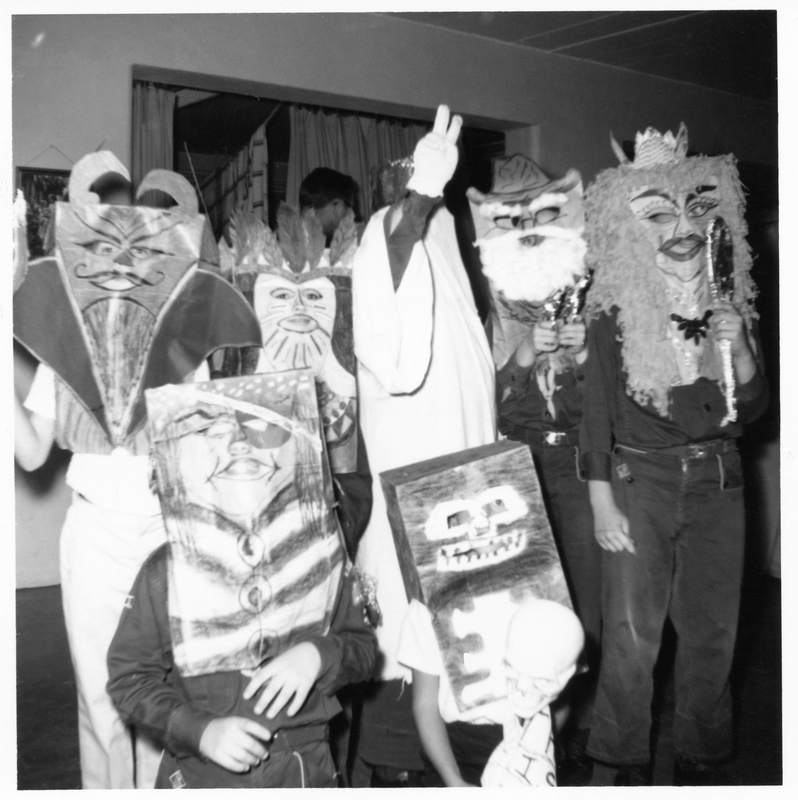 Taken in the fall of 1964, the Cub Scouts seemed to be having some sort of costume contest. 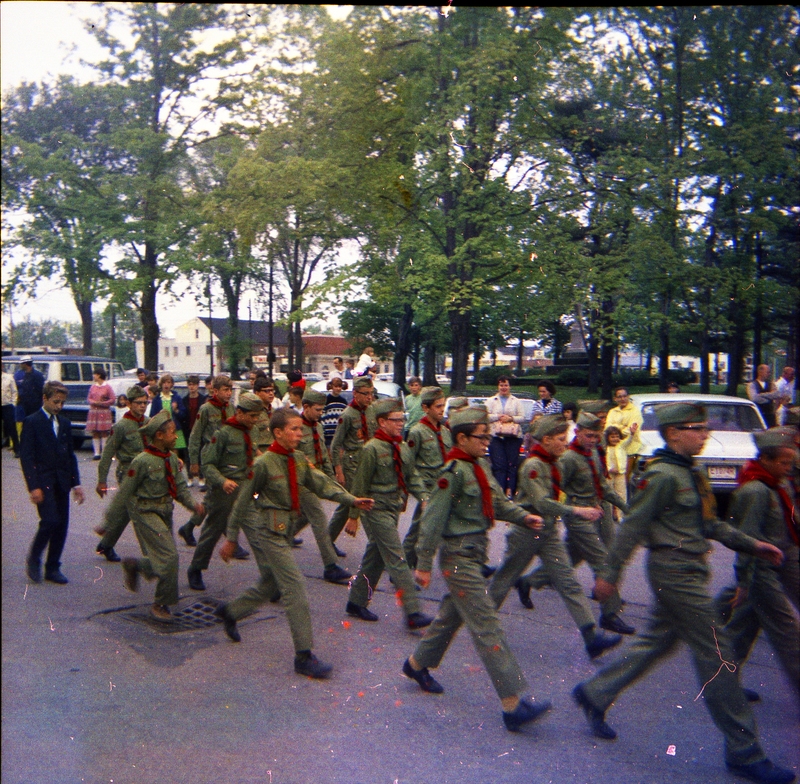 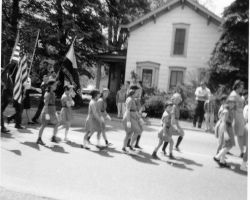 From March of 1967, local scouts are parading through the streets of Twinsburg. 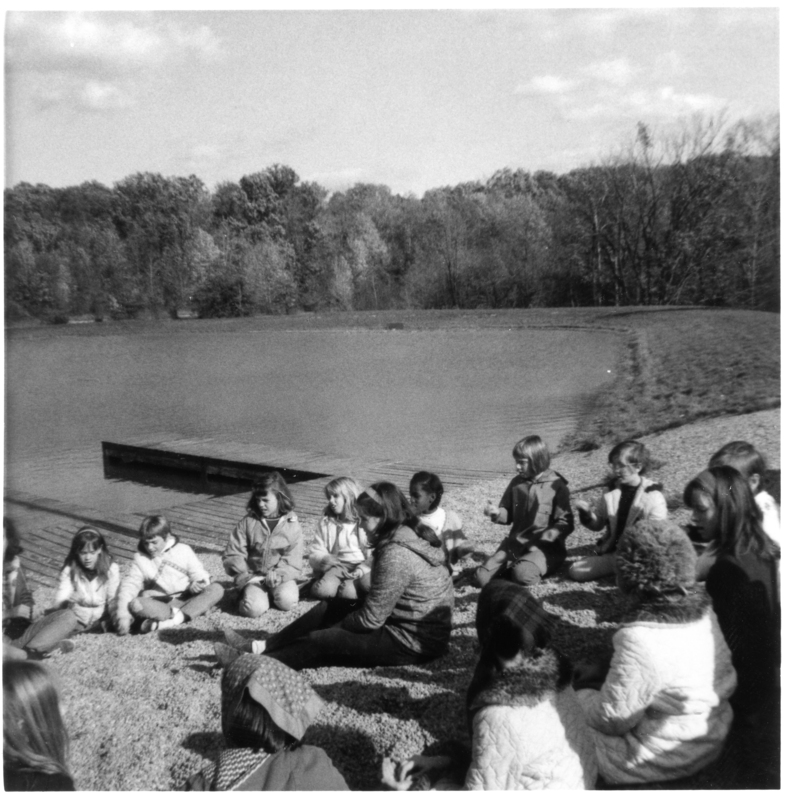 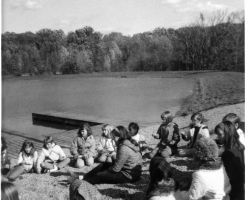 From October of 1967, this group of Twinsburg Girl Scouts were visiting Camp Ledgewood, a local Girl Scout Camp. 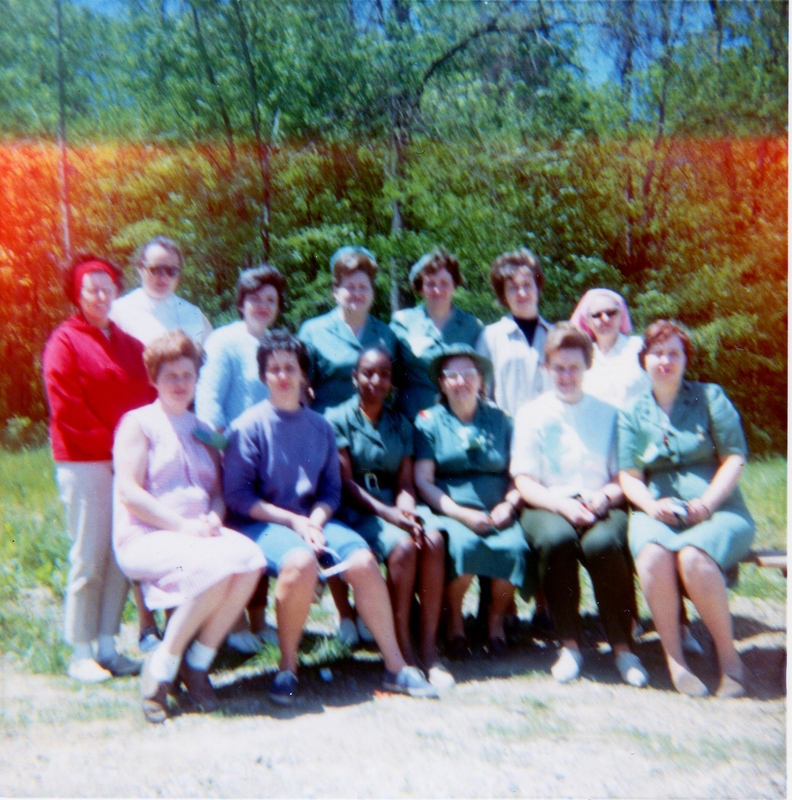 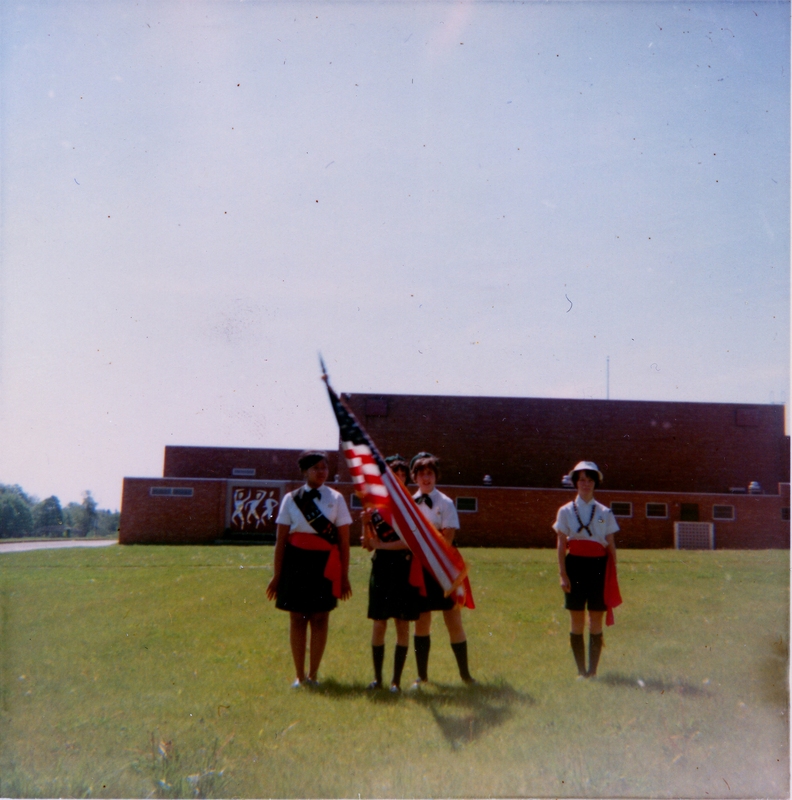 Twinsburg's Girl Scout Leaders in 1968. 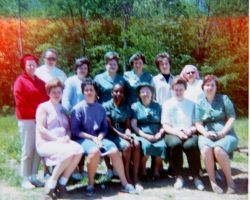 A group photo of the local women who led in mentored Twinsburg Girl Scouts in 1968. 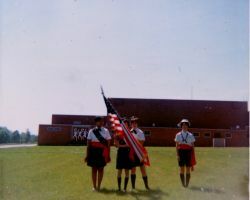 It was taken during Scout Leader Fun Day. 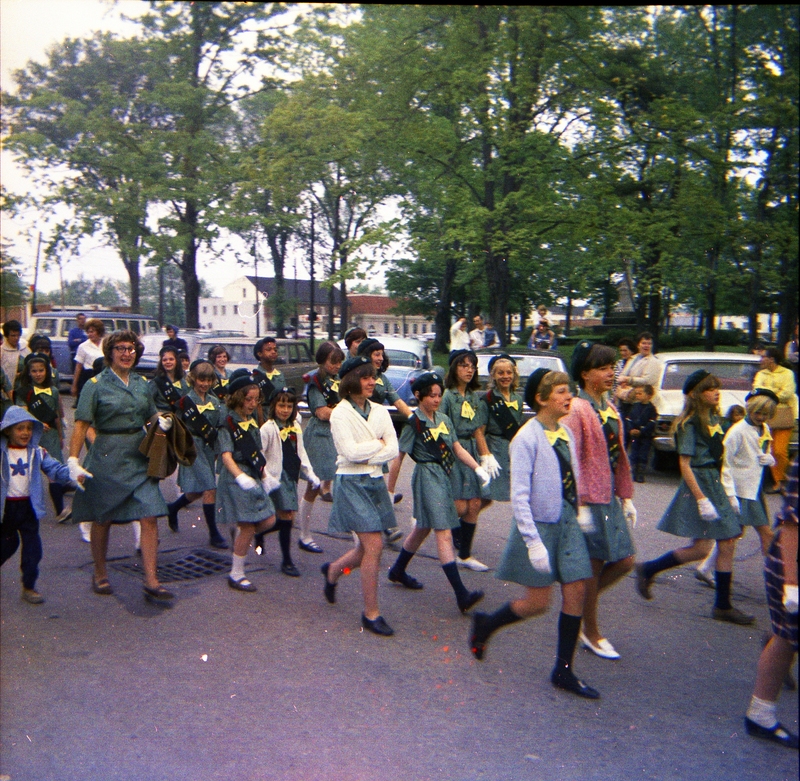 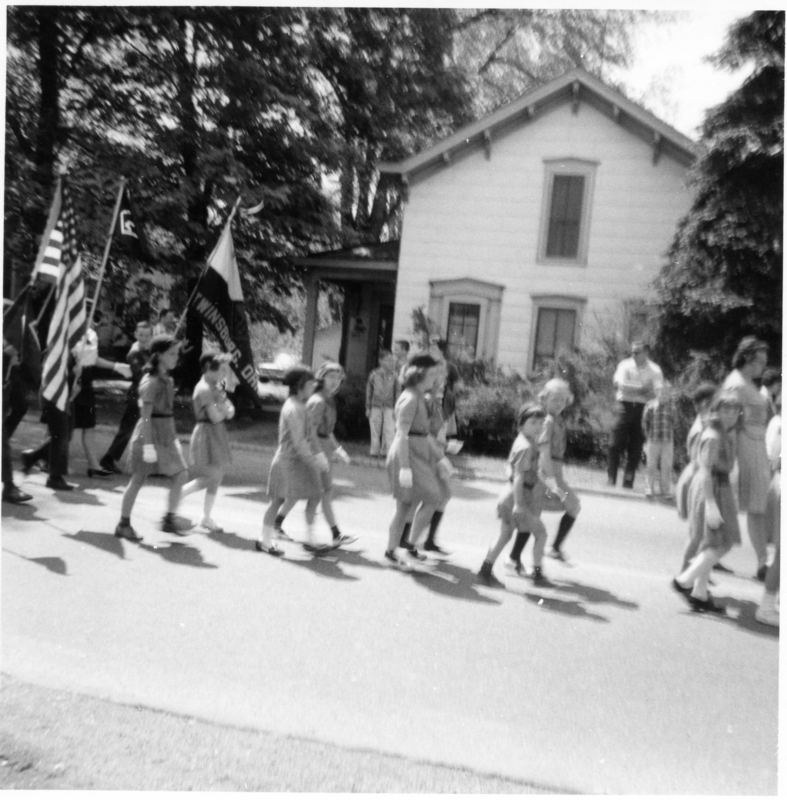 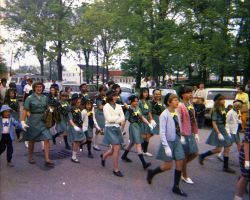 Twinsburg Girl Scouts marching during the 1968 Memorial Day celebration. 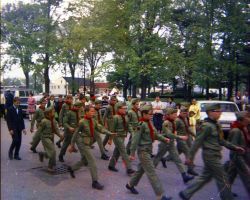 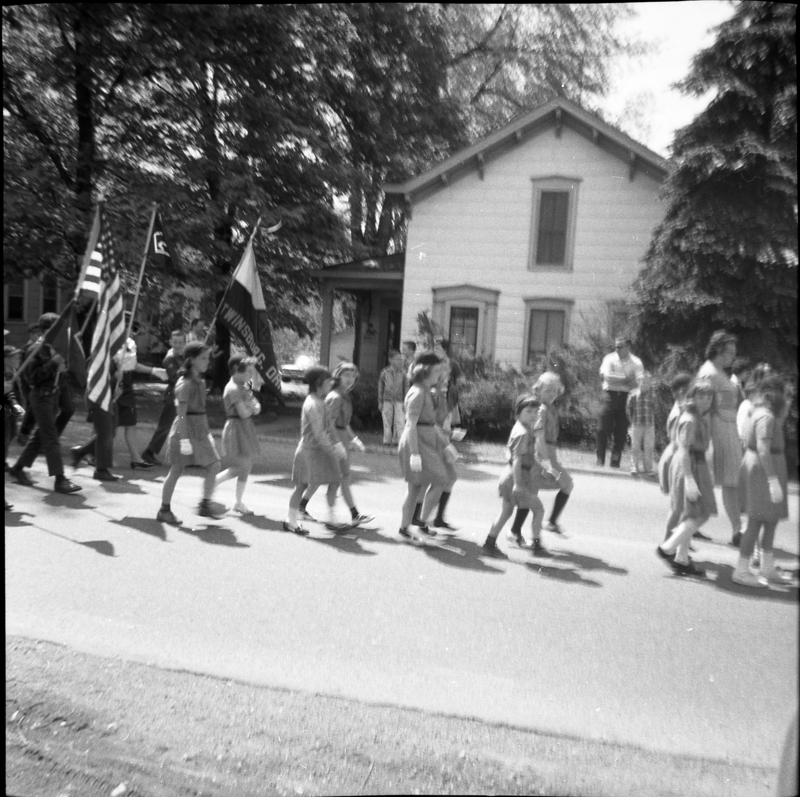 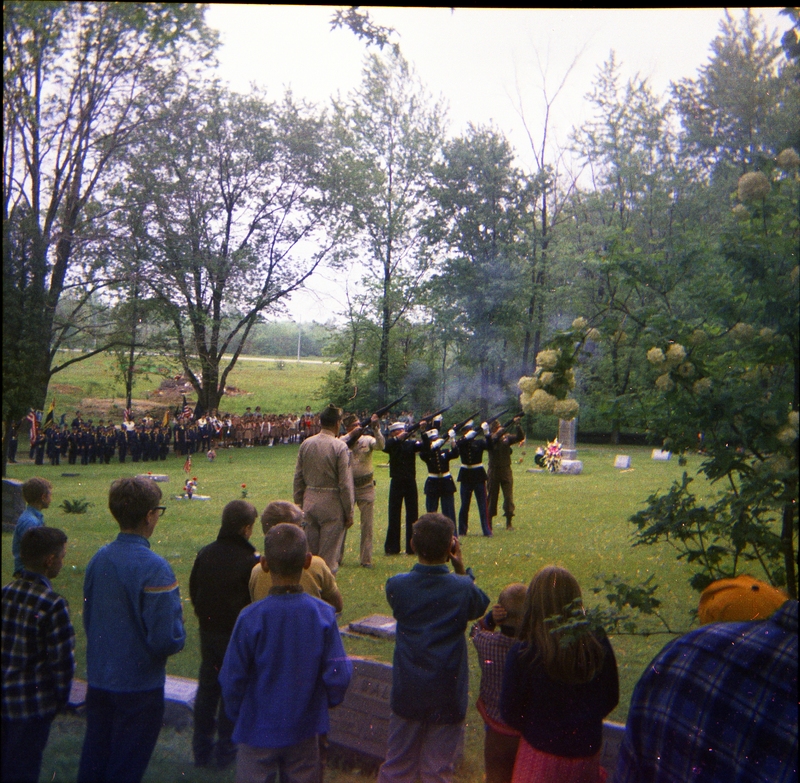 The Twinsburg Boy Scouts marching during the 1968 Memorial Day celebration. 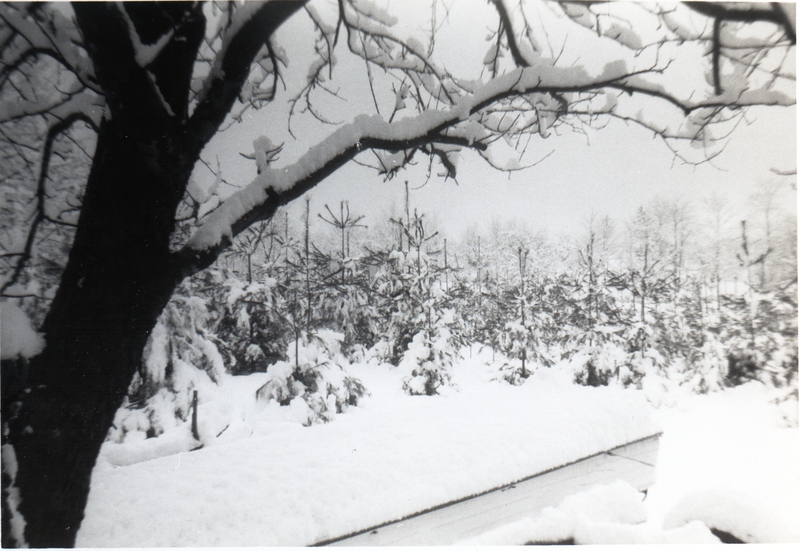 There are snowstorms from Twinsburg's History spoken of with awe and reverence. 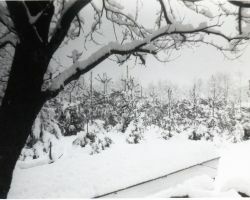 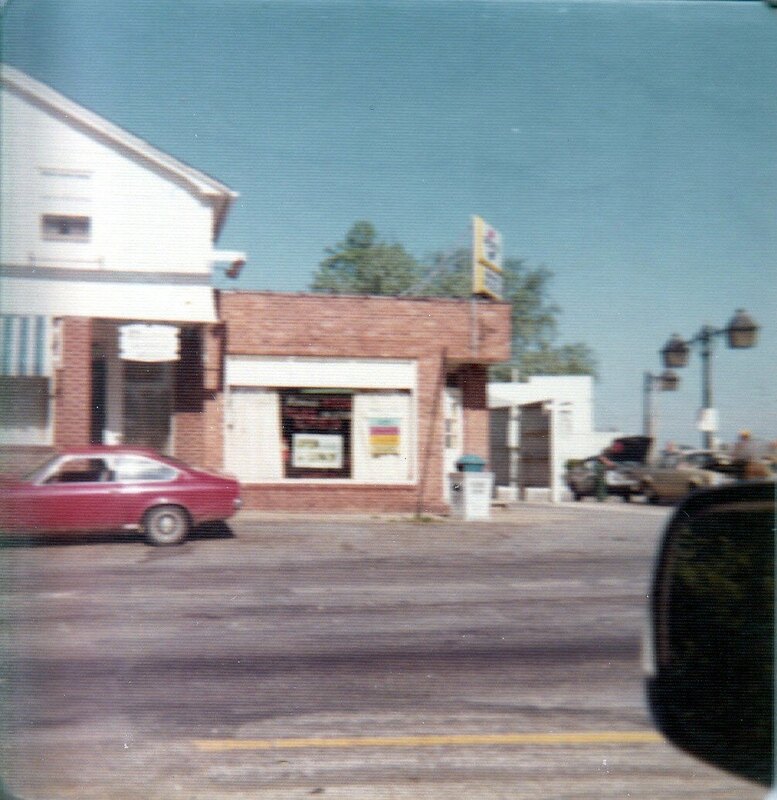 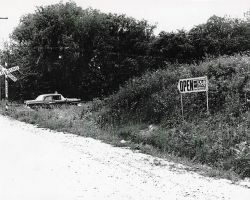 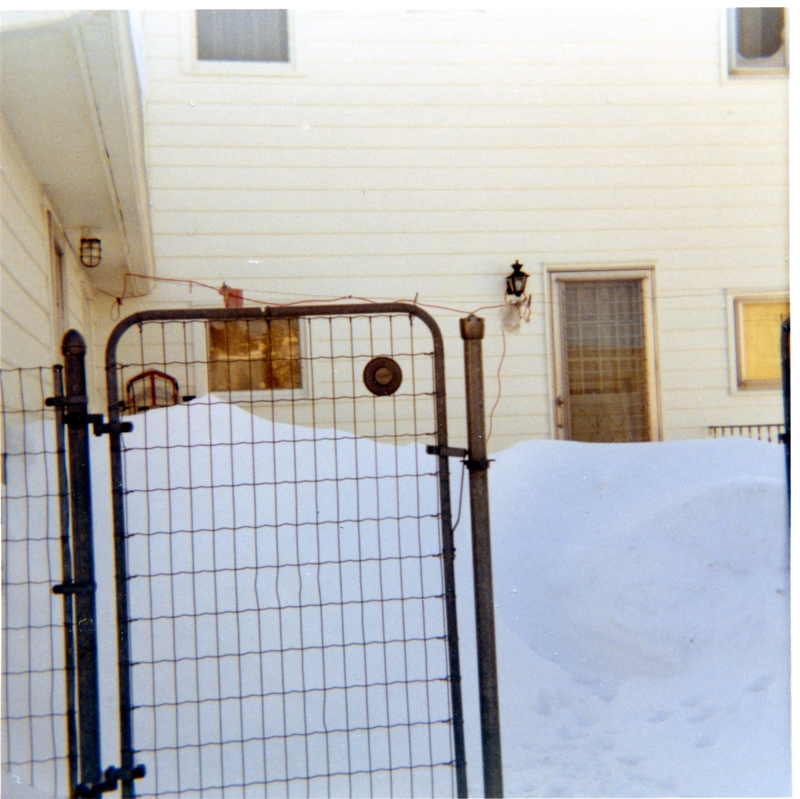 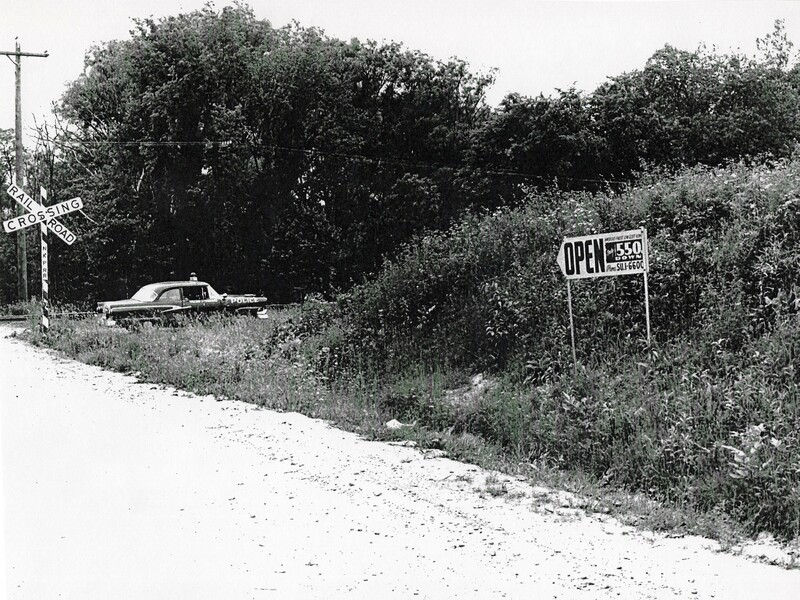 But the area seems to have gotten buried regularly if this photo from 1971 can be believed. 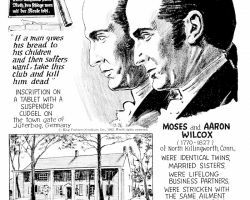 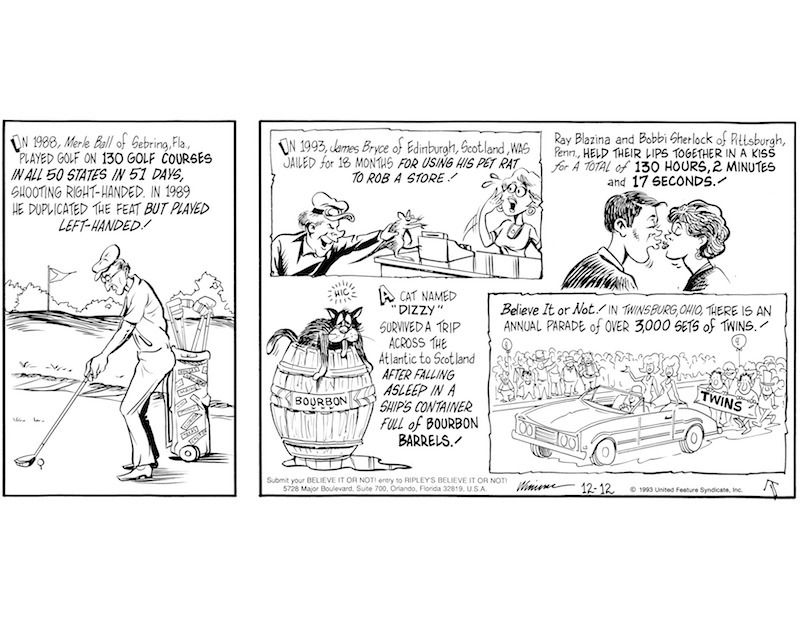 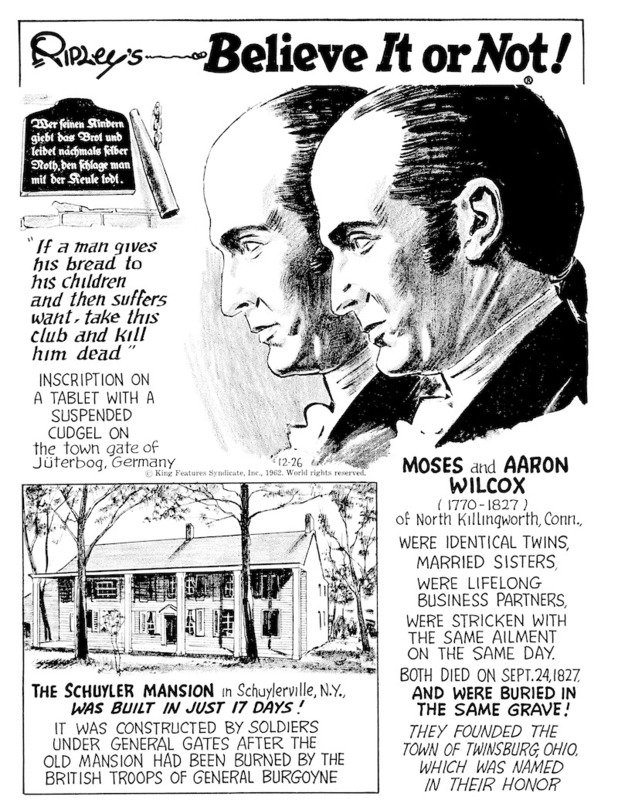 Twinsburg's first appearance in Ripley's was this celebration of the WIlcox's brothers oddly parallel lives. 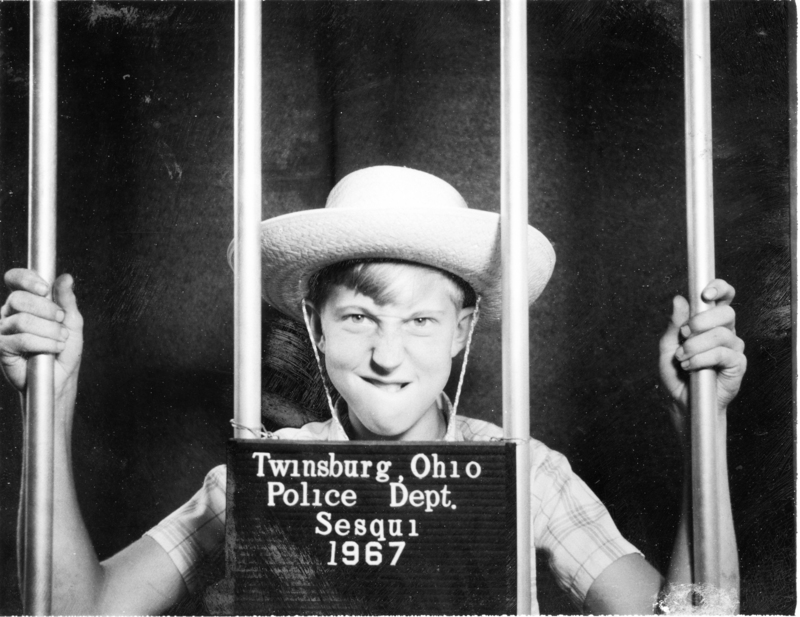 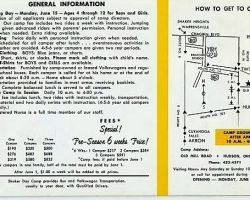 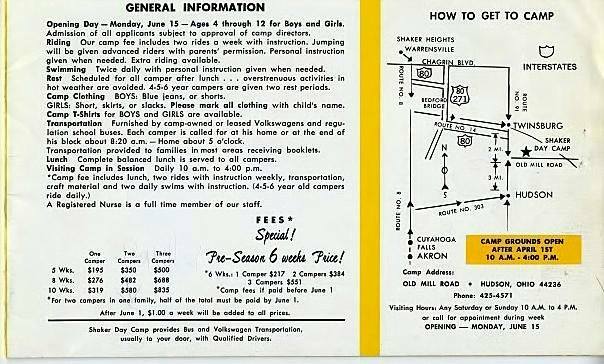 Some Twinsburg children remember it being on classroom walls in the 1960s.  @ 2017 Ripley Entertainment Inc. 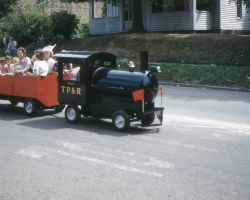 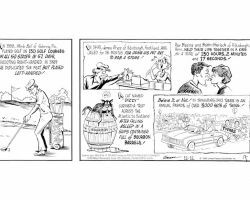 The second time Twinsburg graced the panels of the iconic strip it was in celebration of the Twins Day Parade. 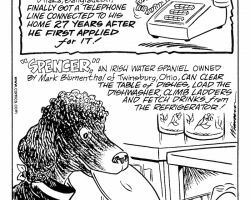 @ 2017 Ripley's Entertainment Inc.
Twinsburg's third appearance in Ripley's involved Mark Blumenthal's very talented Irish Water Spaniel. 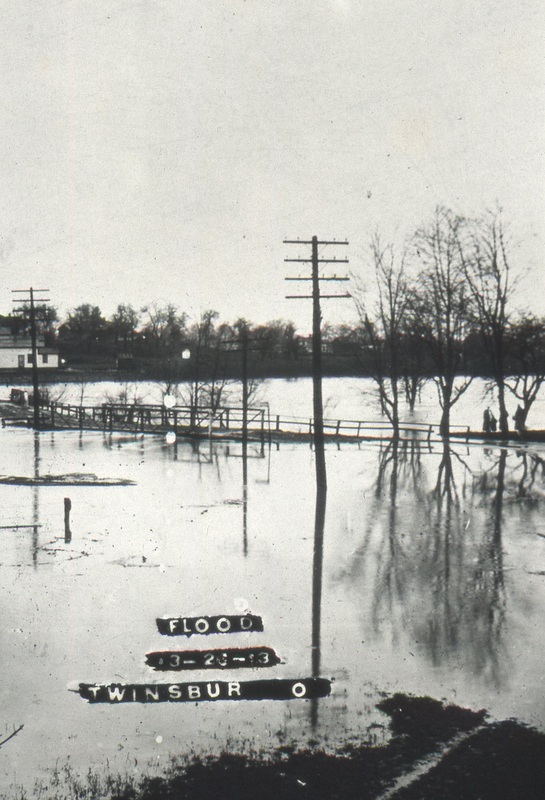 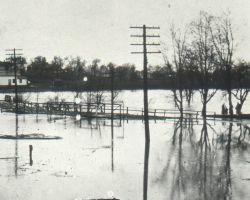 Certain areas of our region have been susceptible to flooding over the years, and this image from 1913 shows, Twinsburg is no exception. 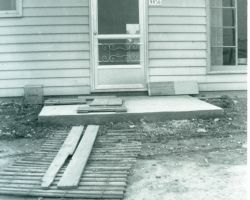 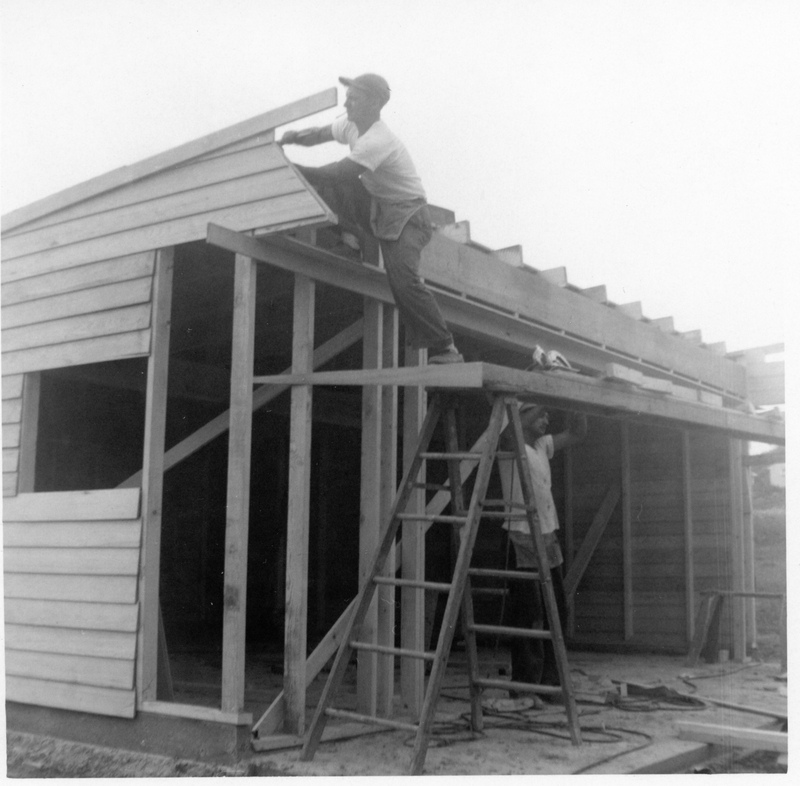 During a new library's construction, this was the temporary home of the library. 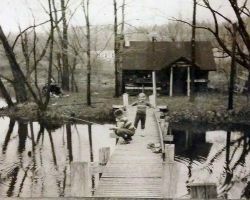 Larry and Nancy Hoon on the bridge connecting to the island on Maunders Pond. 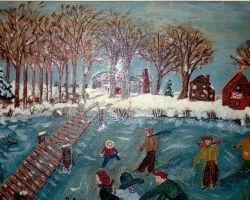 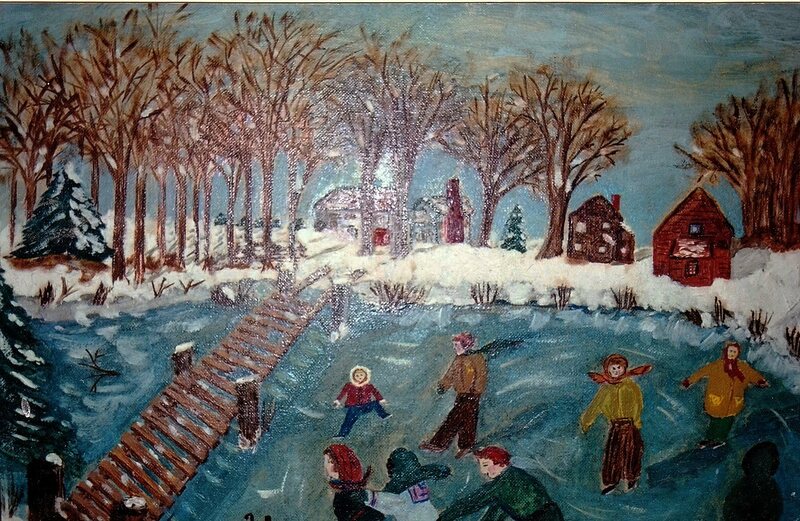 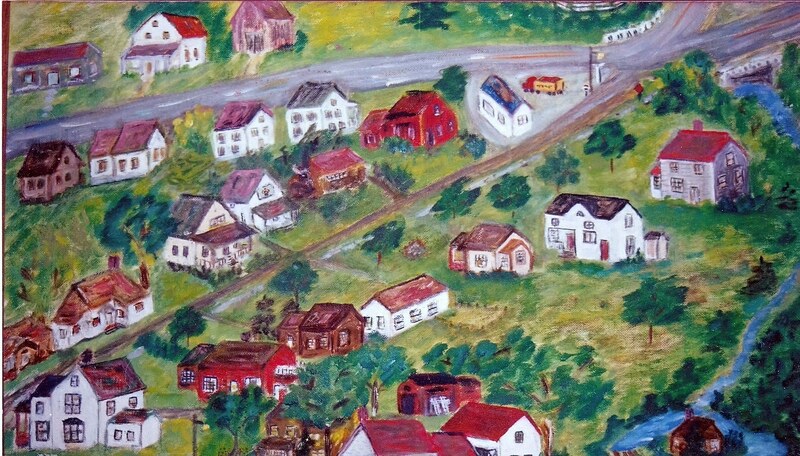 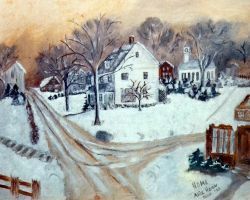 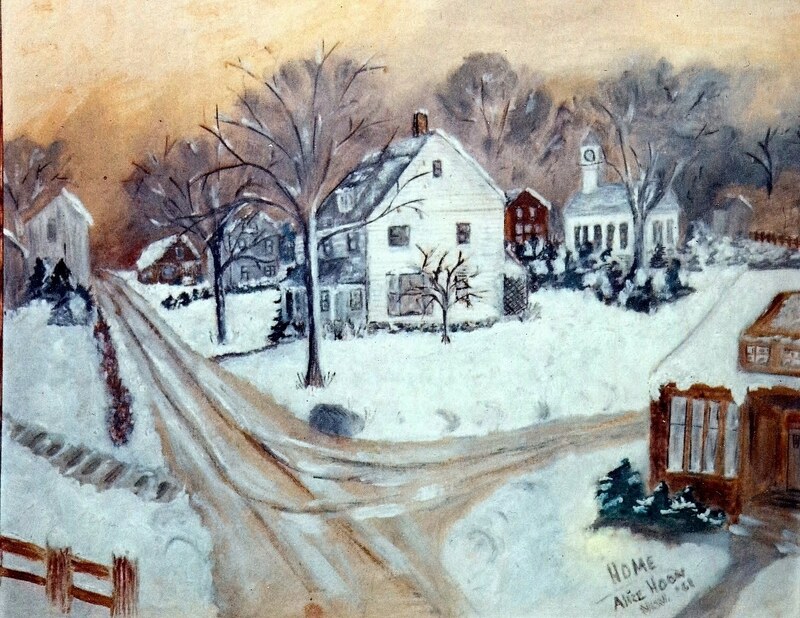 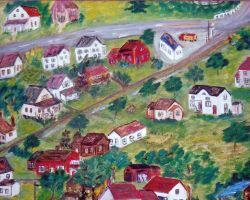 From 1968, another Alice Hoon painting, you can see the Congregational Church on the right. 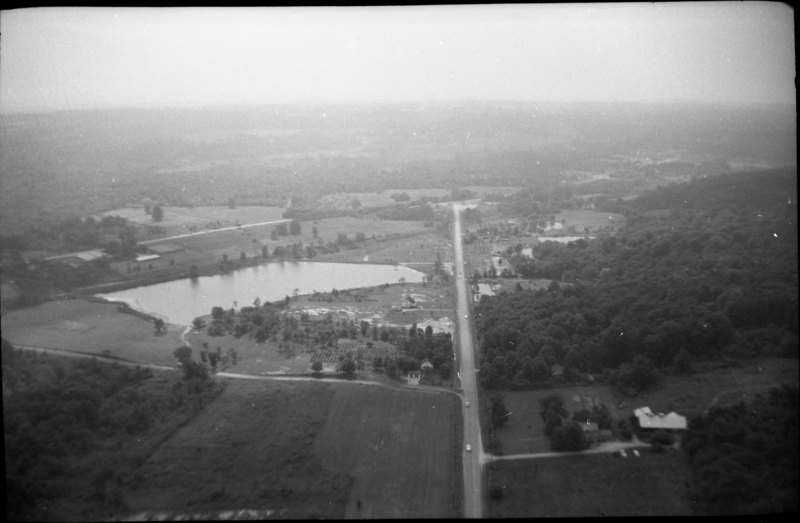 Crown Hill Cemetery Landscape in 1036.